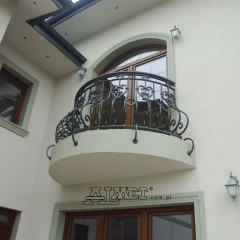 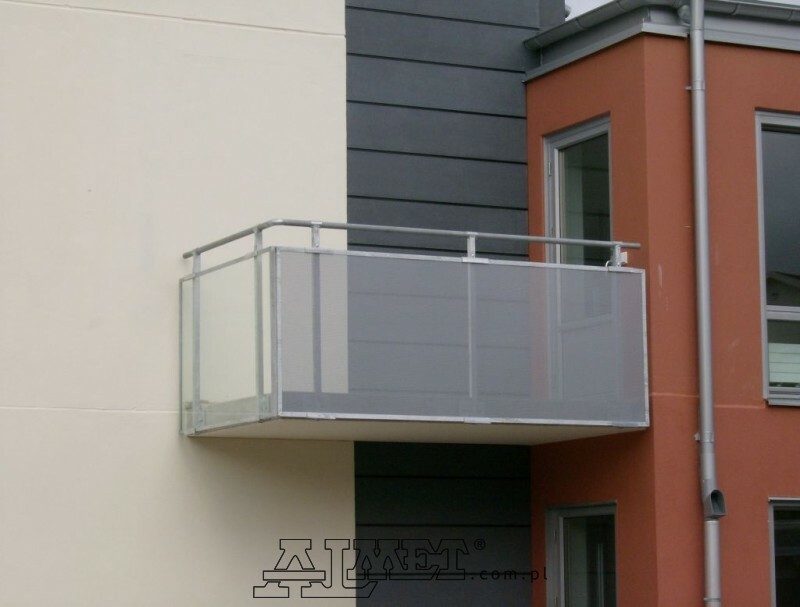 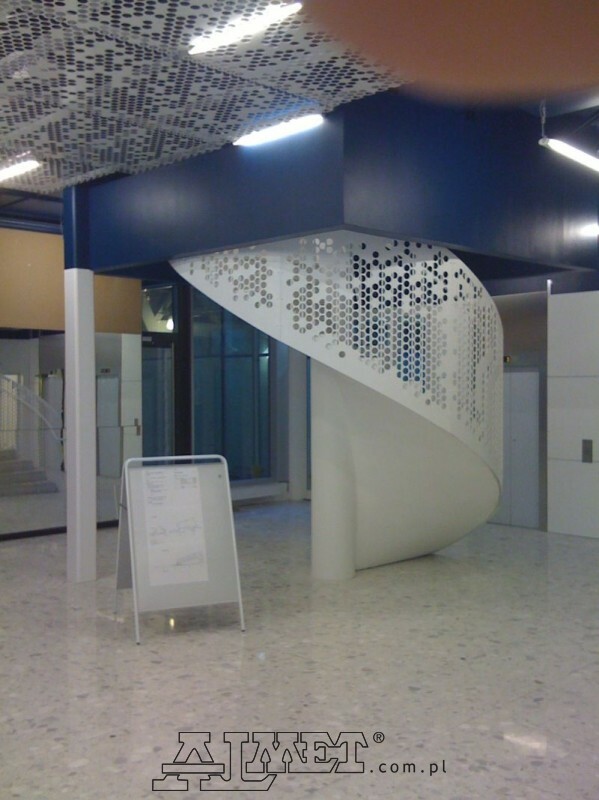 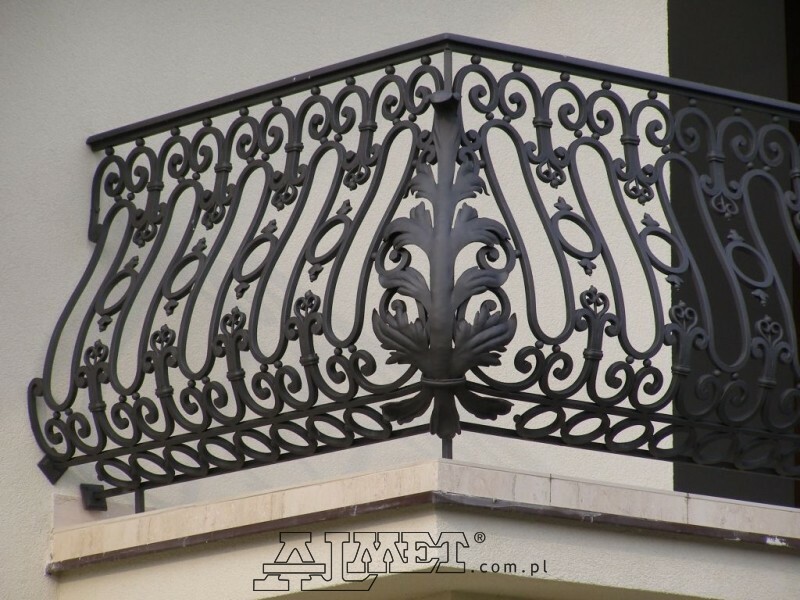 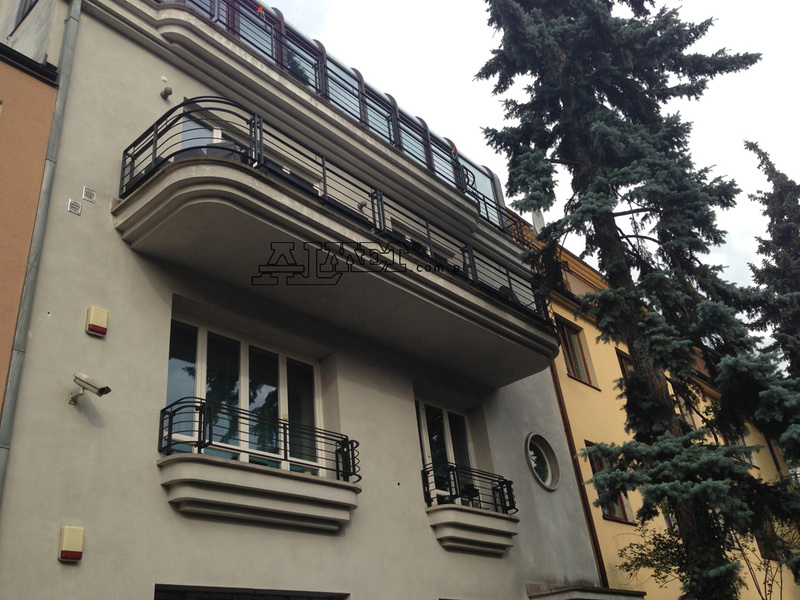 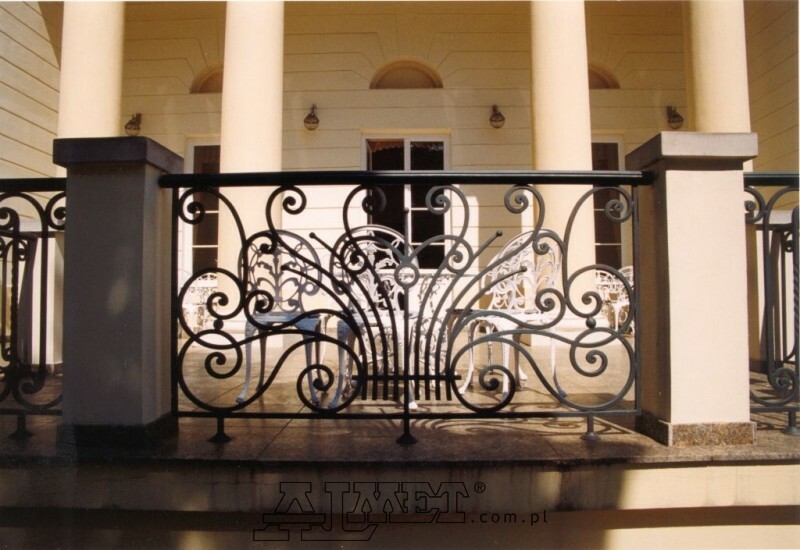 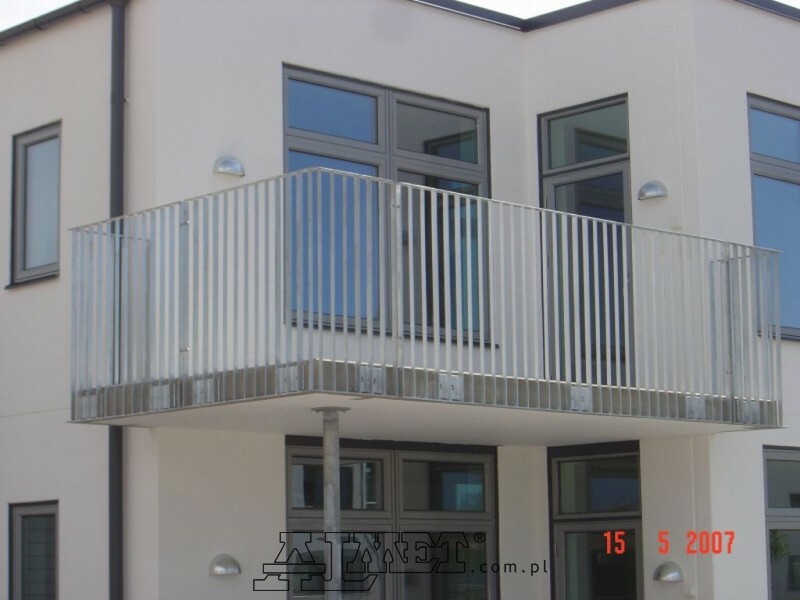 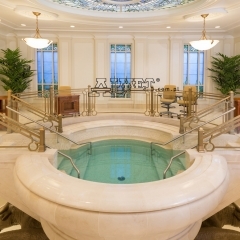 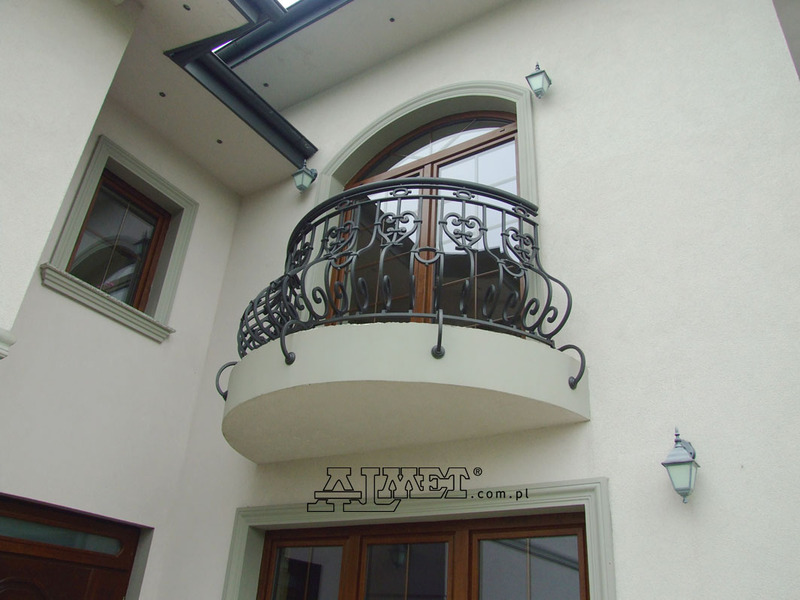 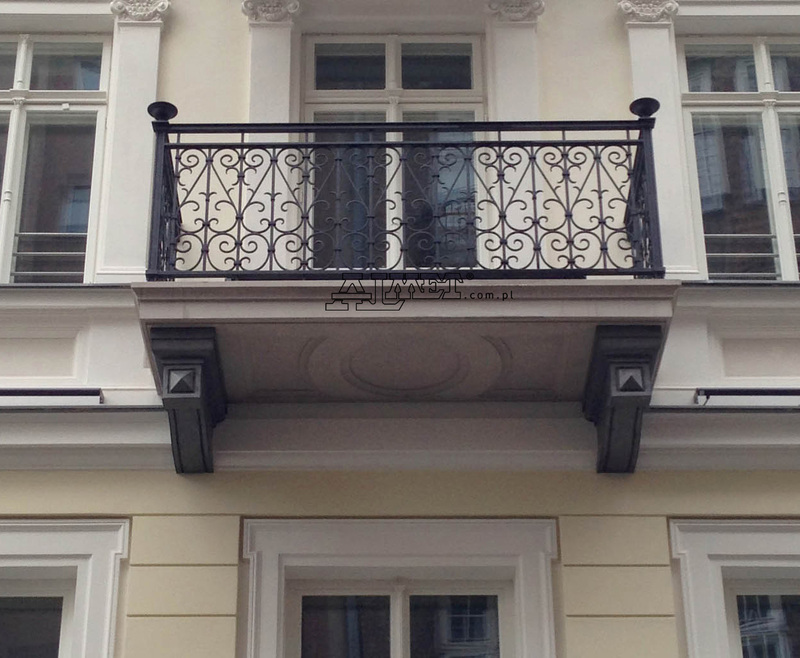 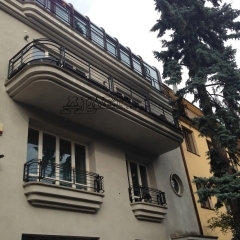 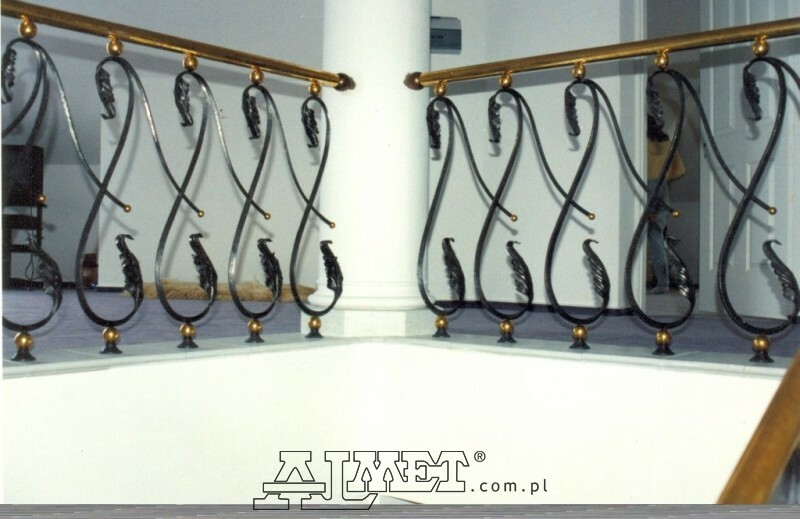 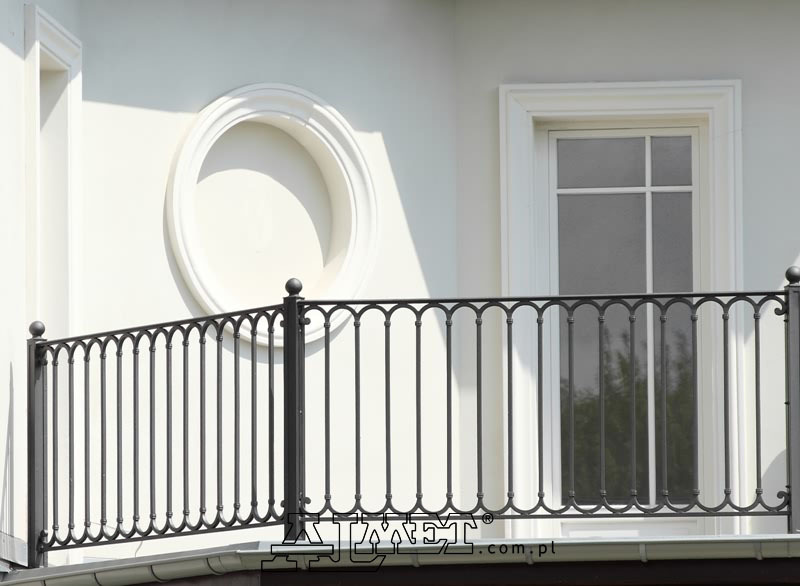 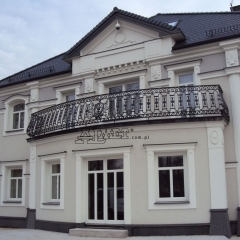 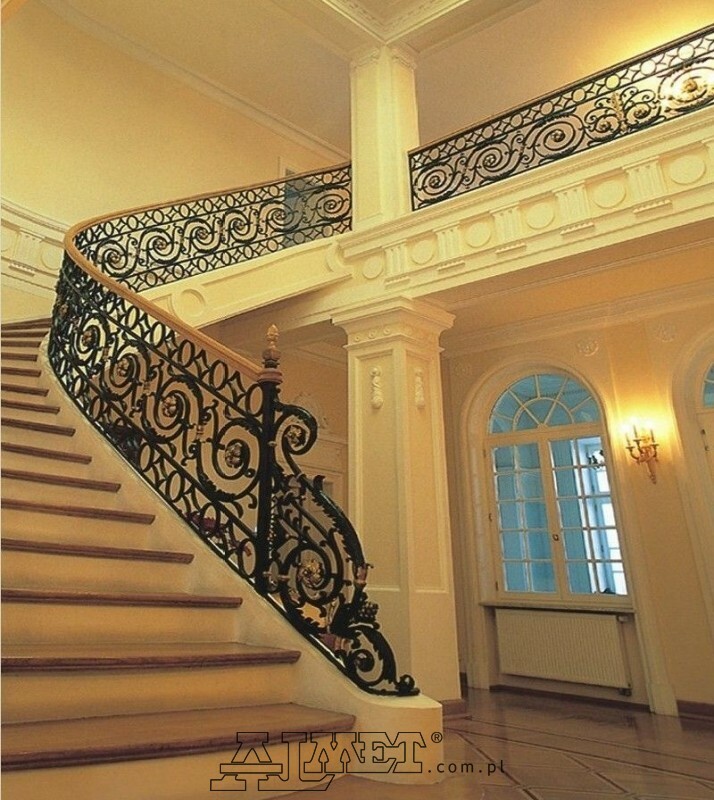 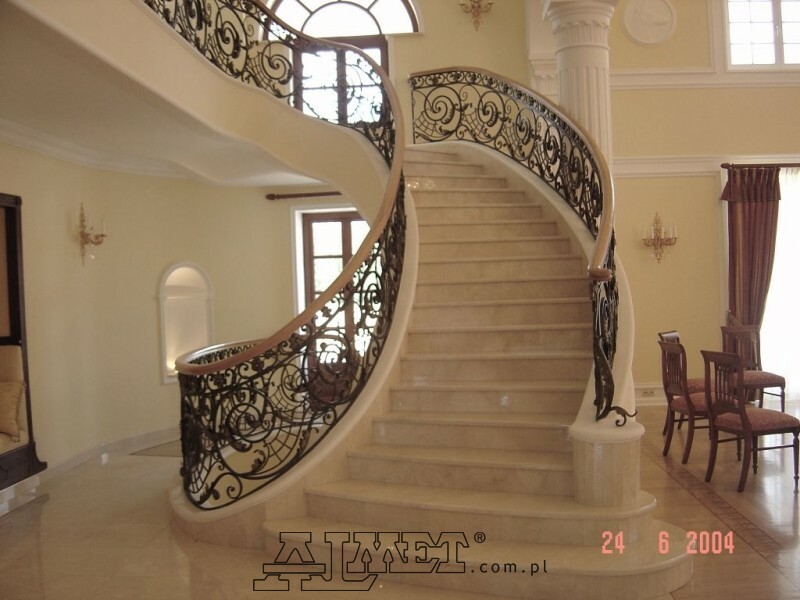 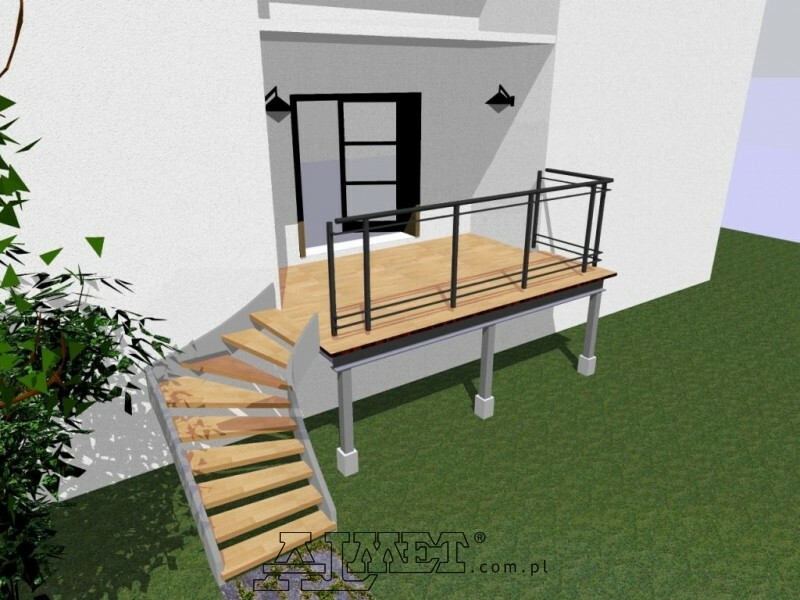 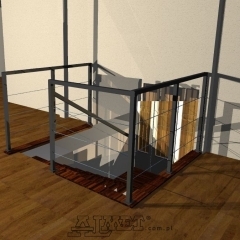 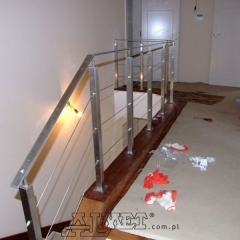 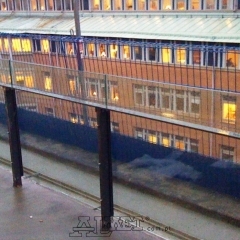 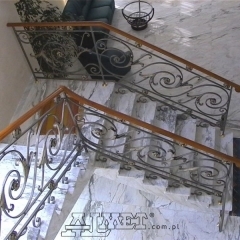 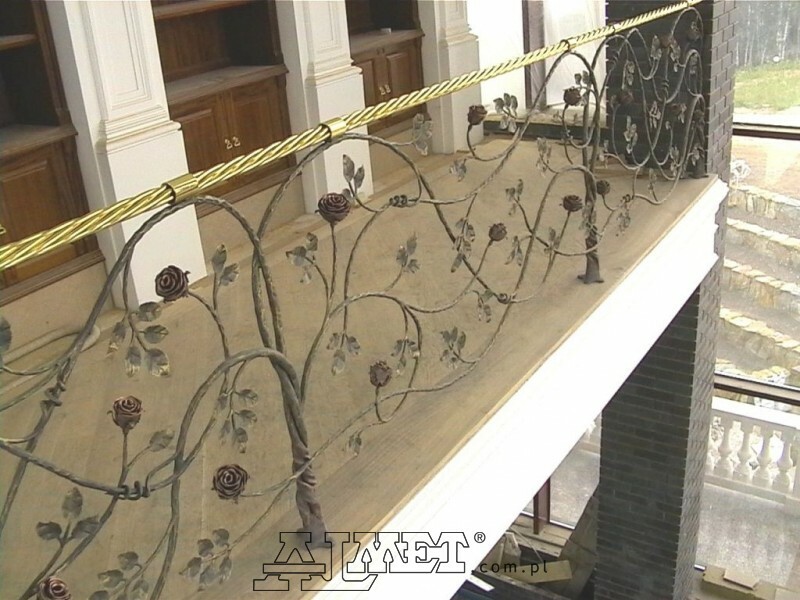 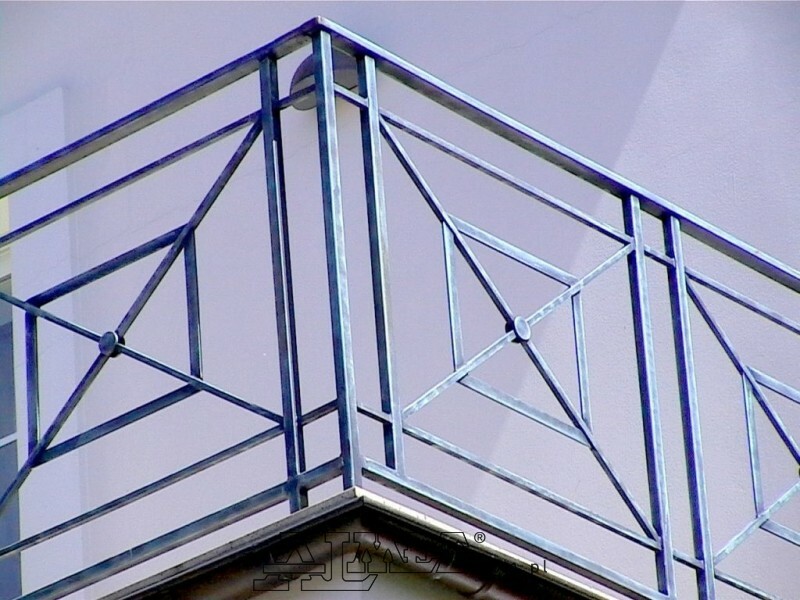 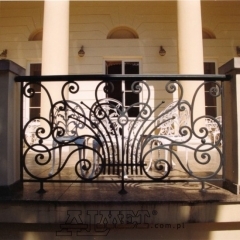 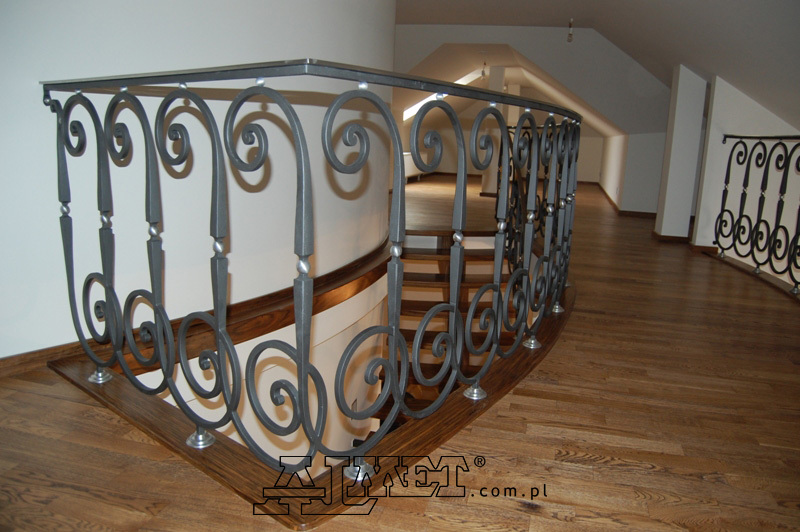 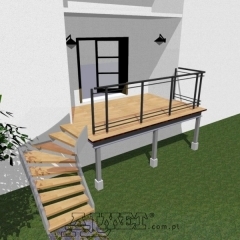 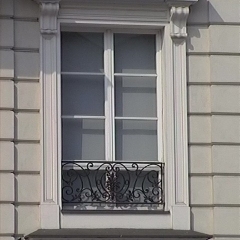 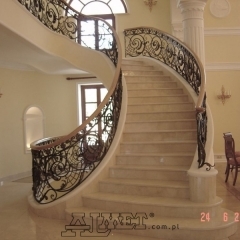 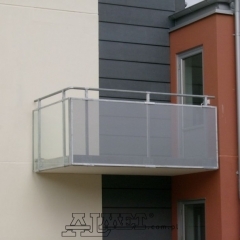 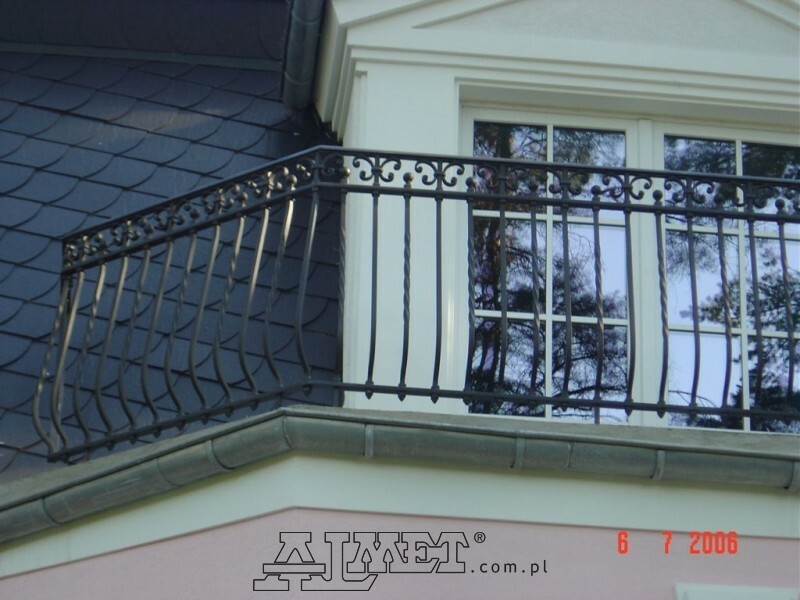 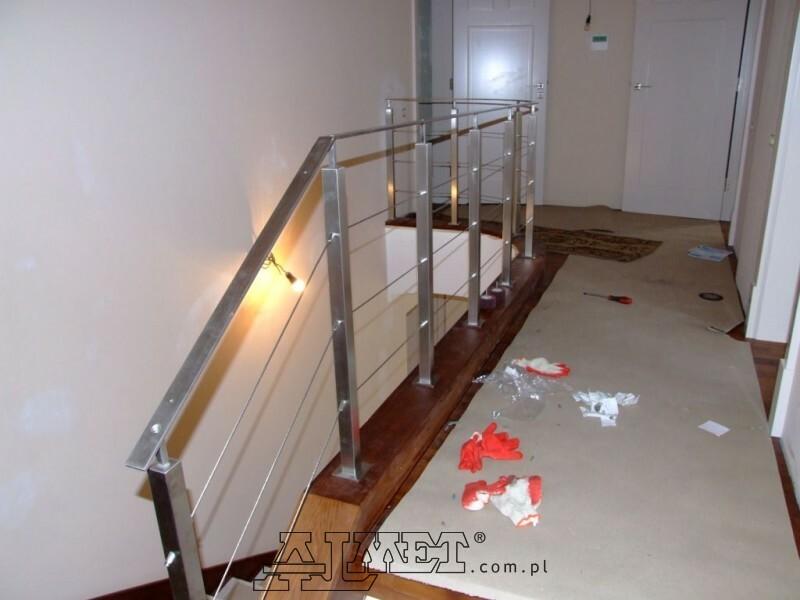 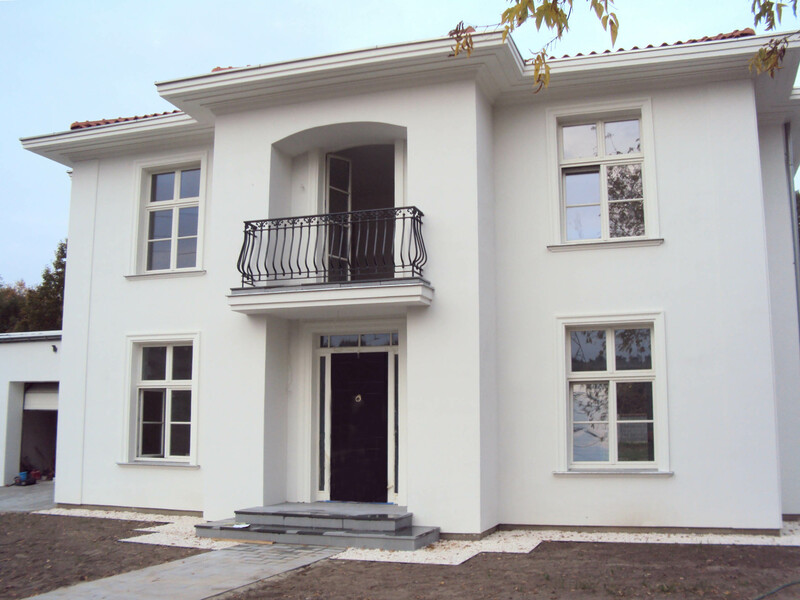 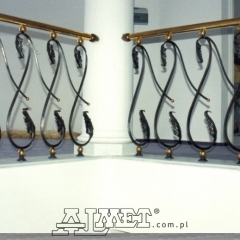 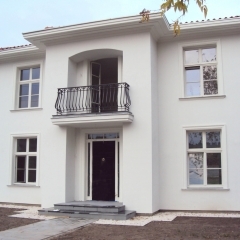 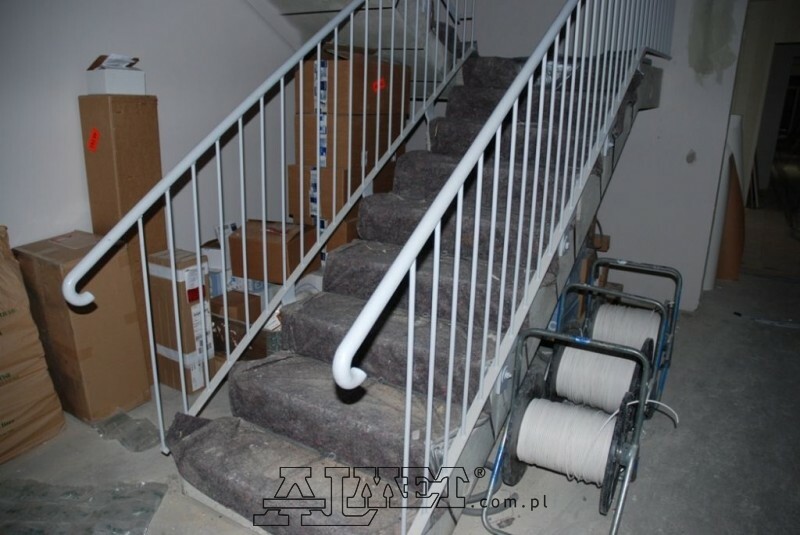 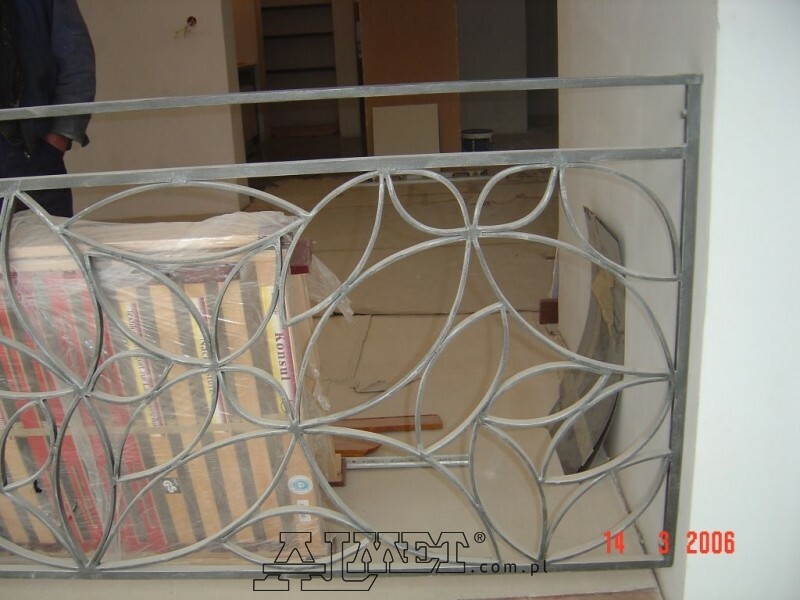 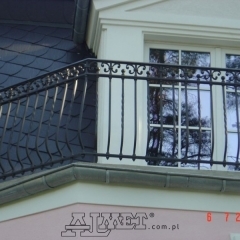 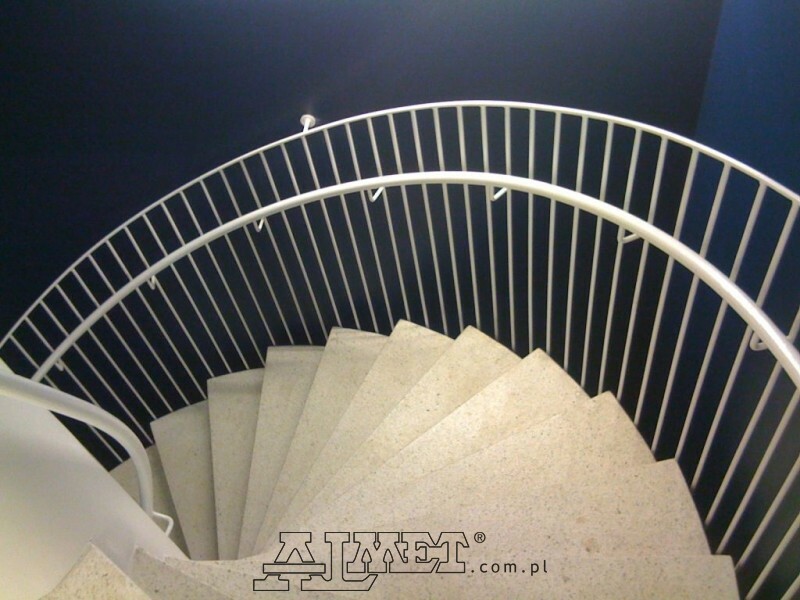 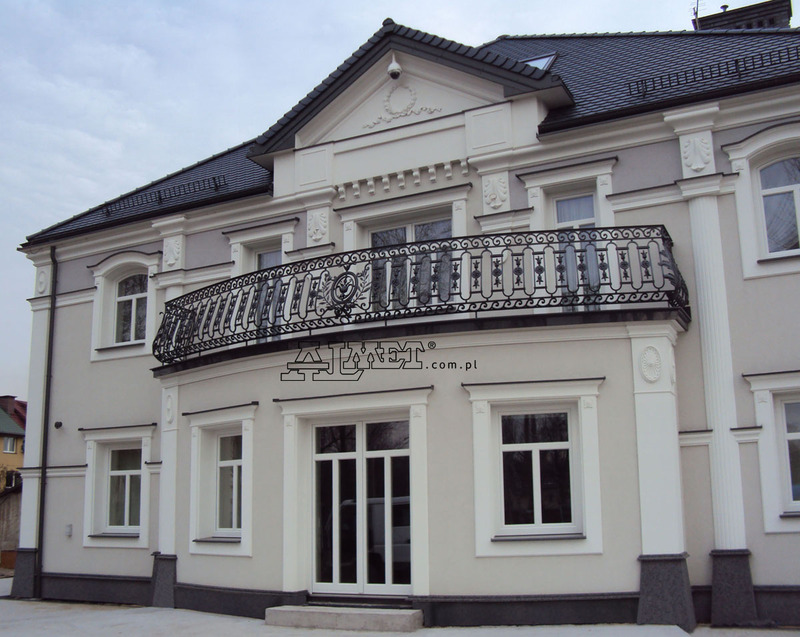 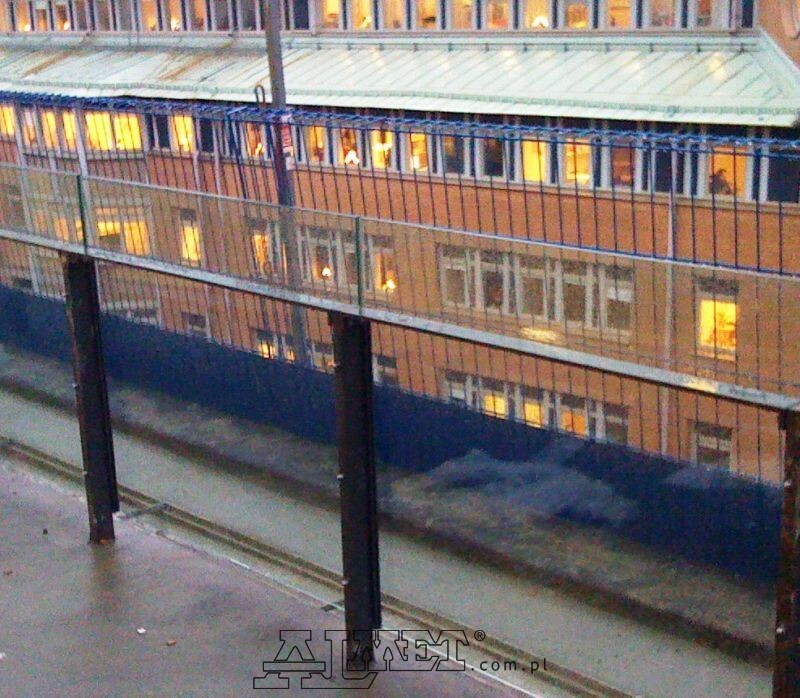 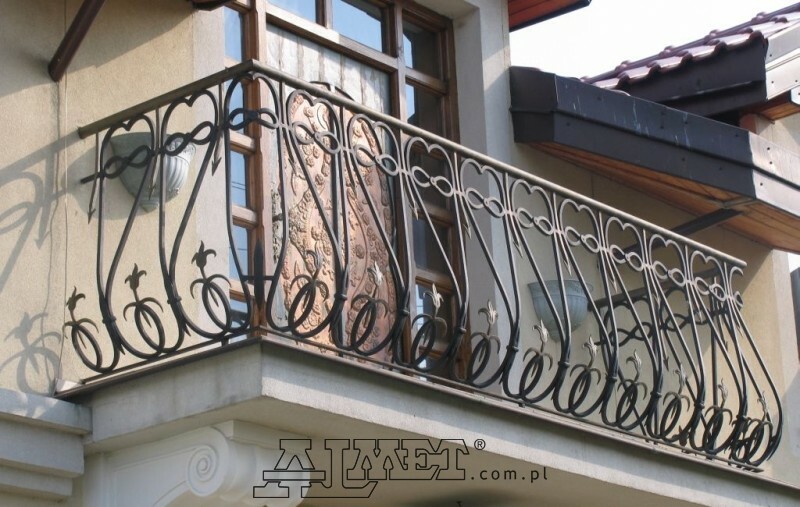 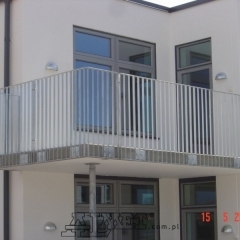 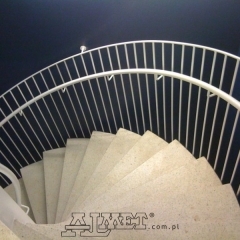 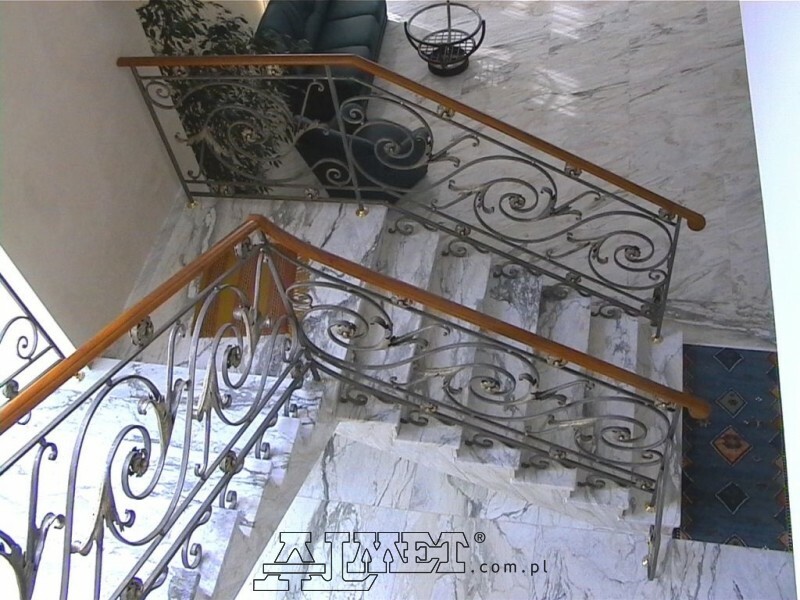 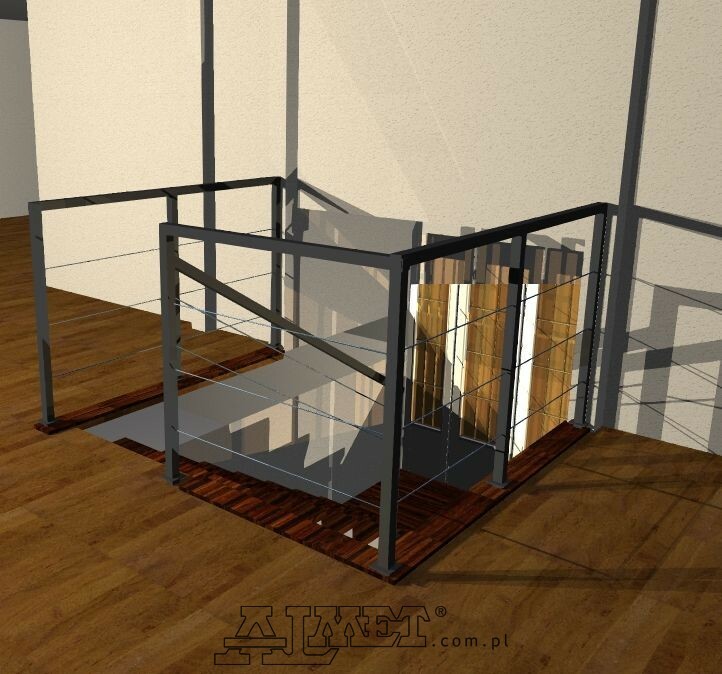 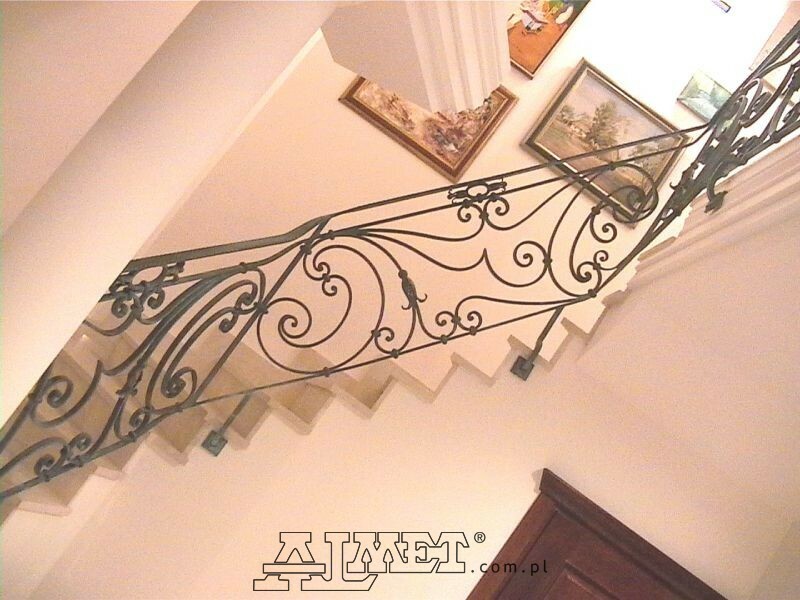 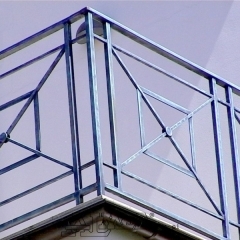 Almet manufactures the highest class exterior and interior balustrades. 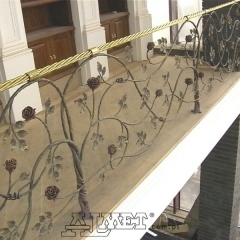 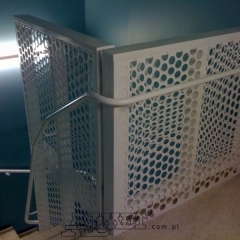 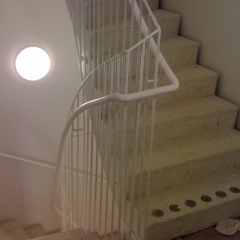 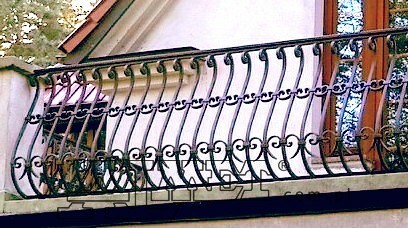 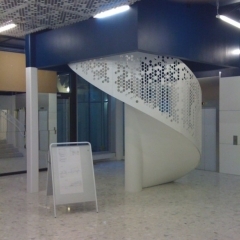 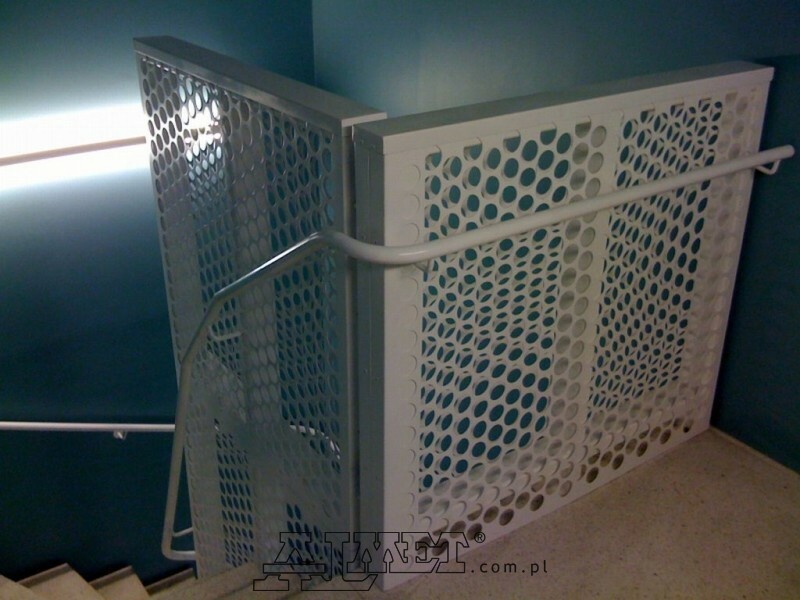 We can make any stair and balcony balustrades. 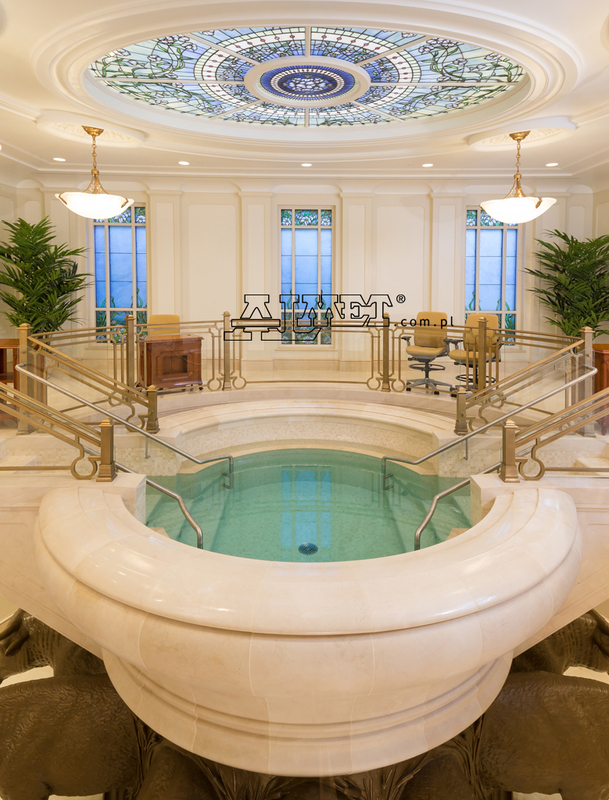 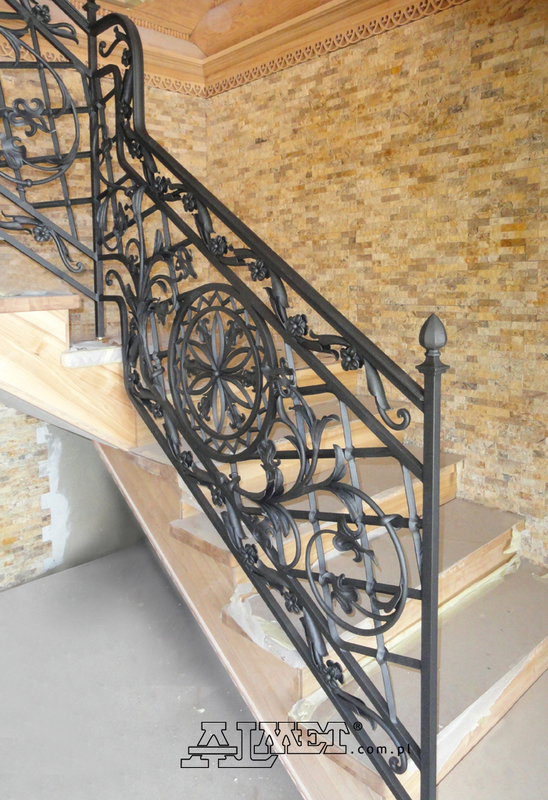 Each project is treated like a challenge. 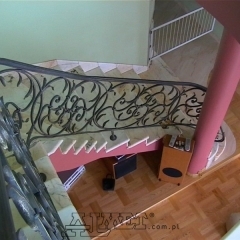 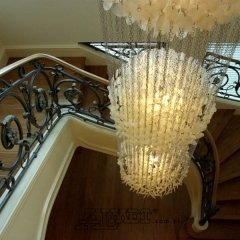 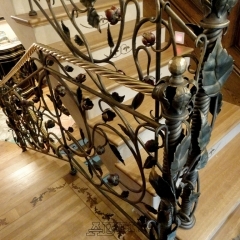 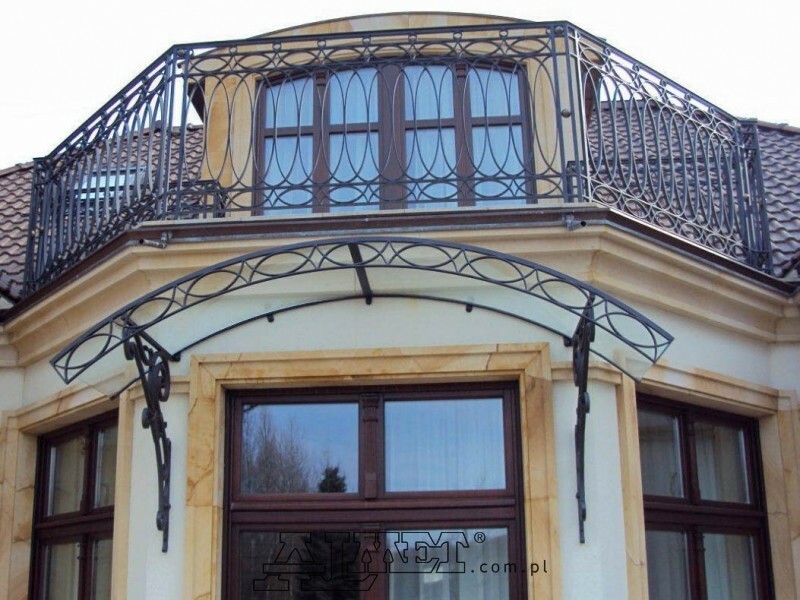 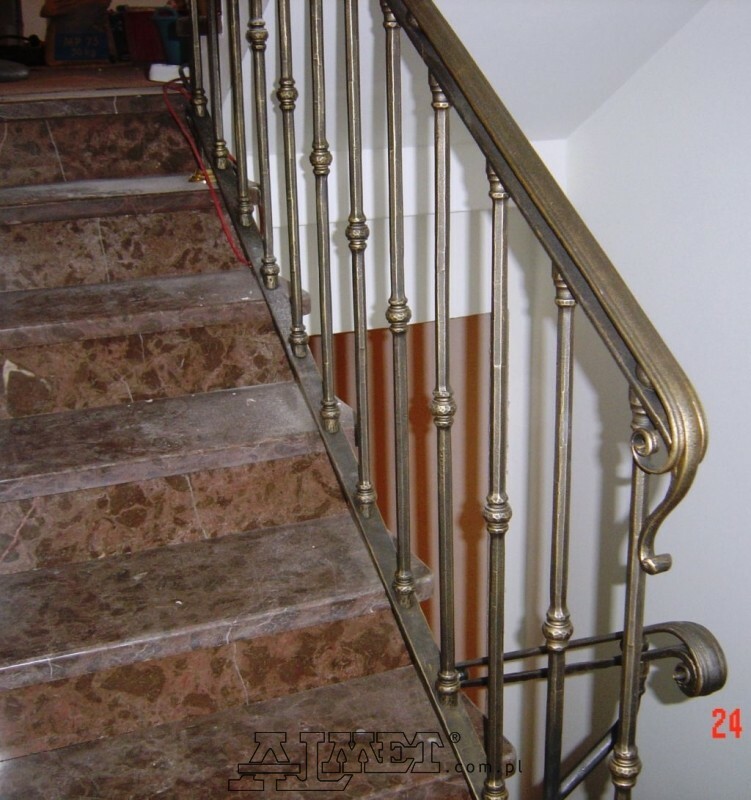 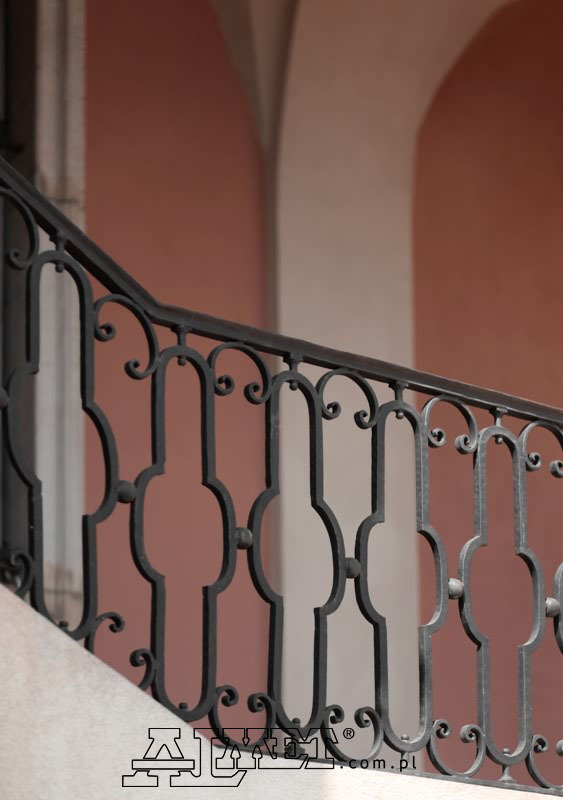 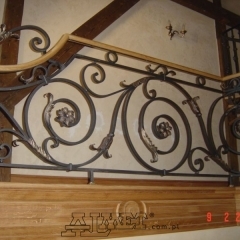 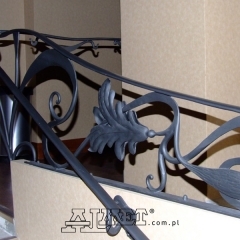 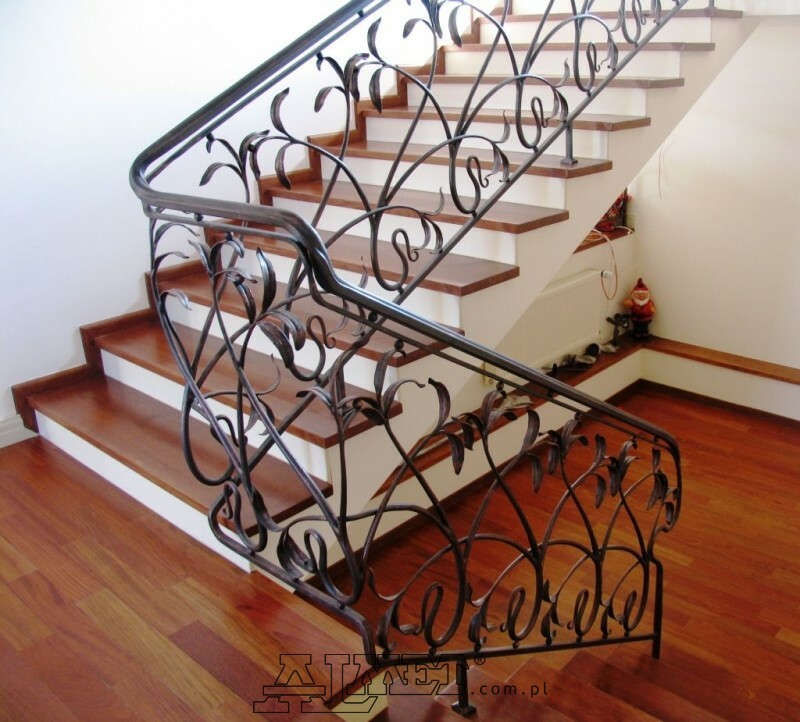 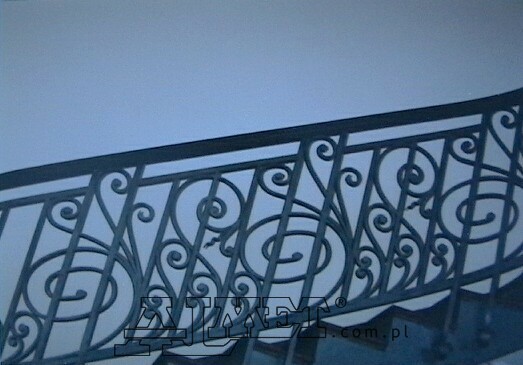 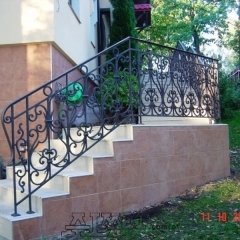 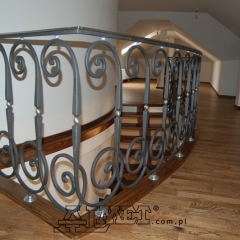 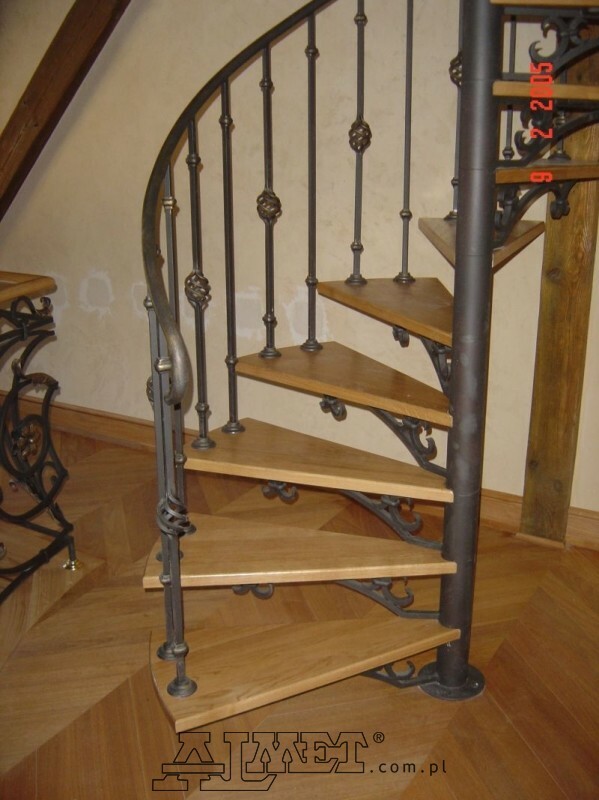 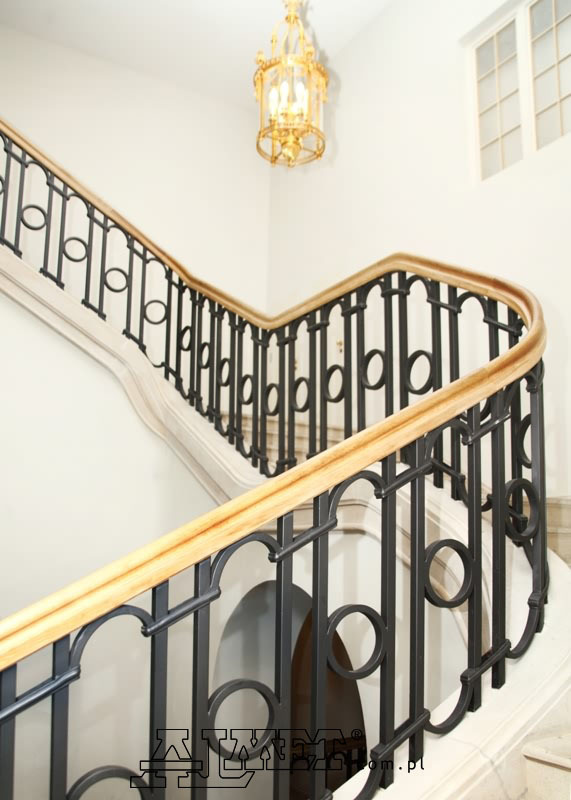 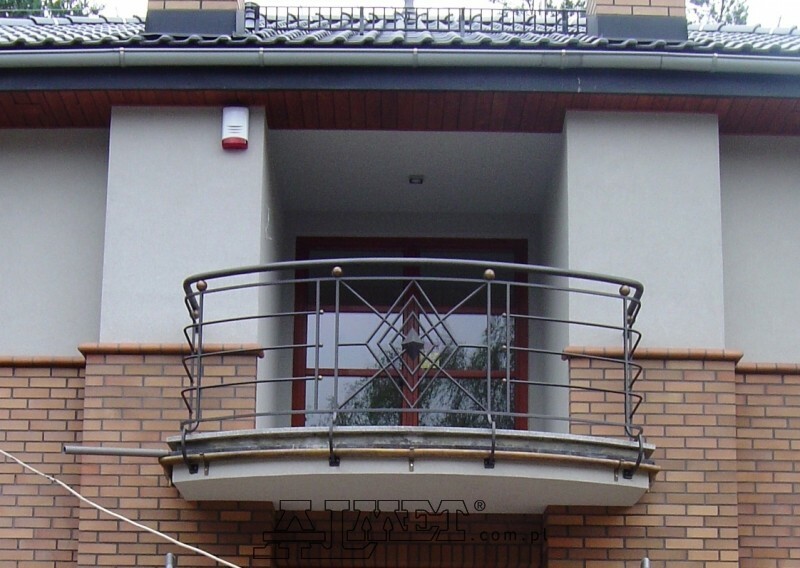 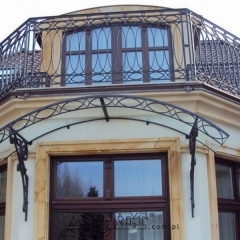 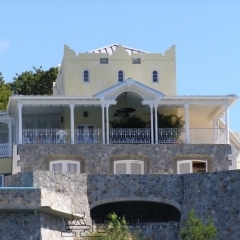 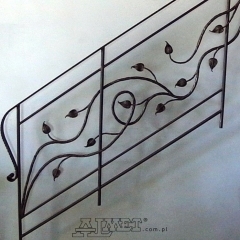 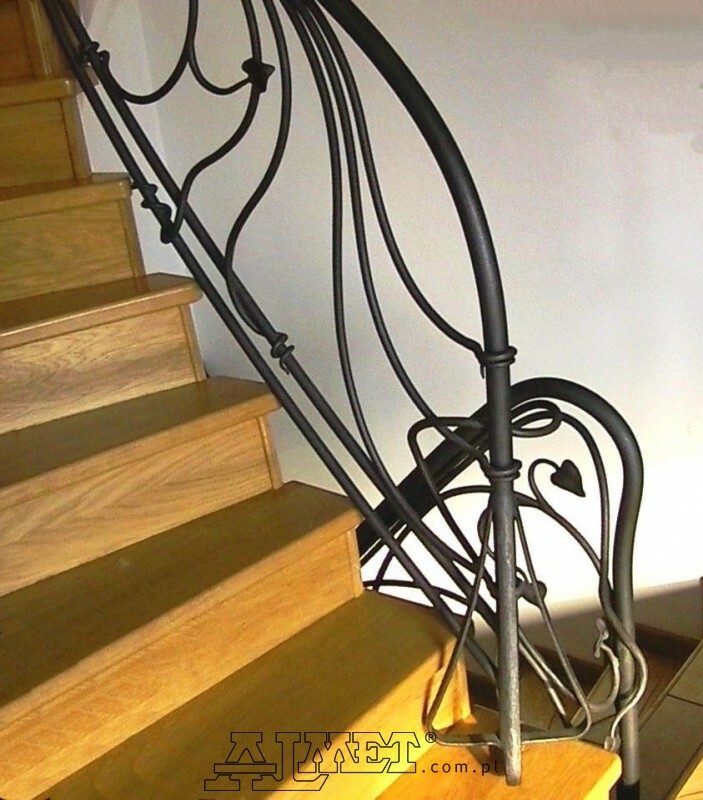 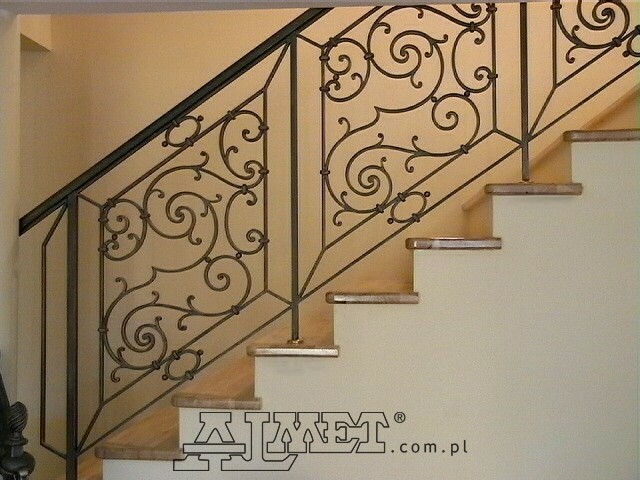 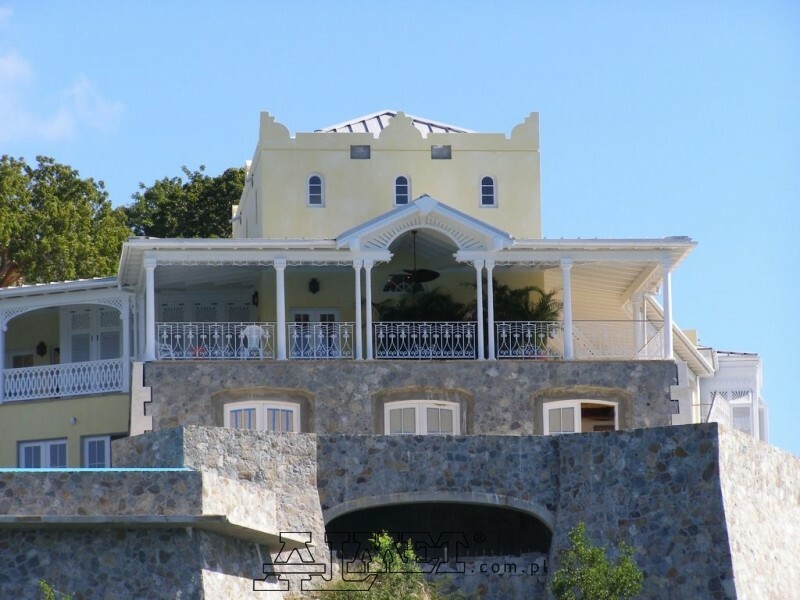 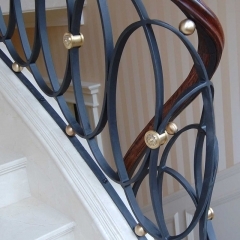 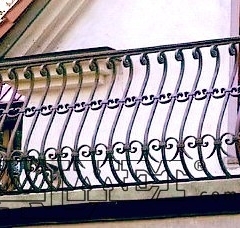 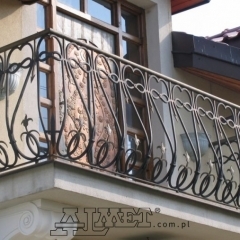 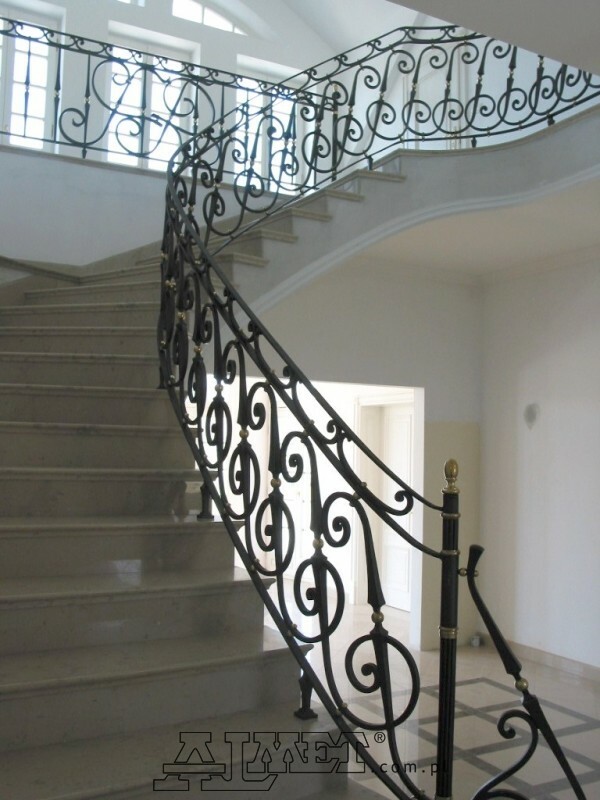 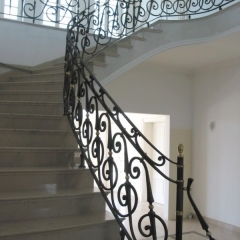 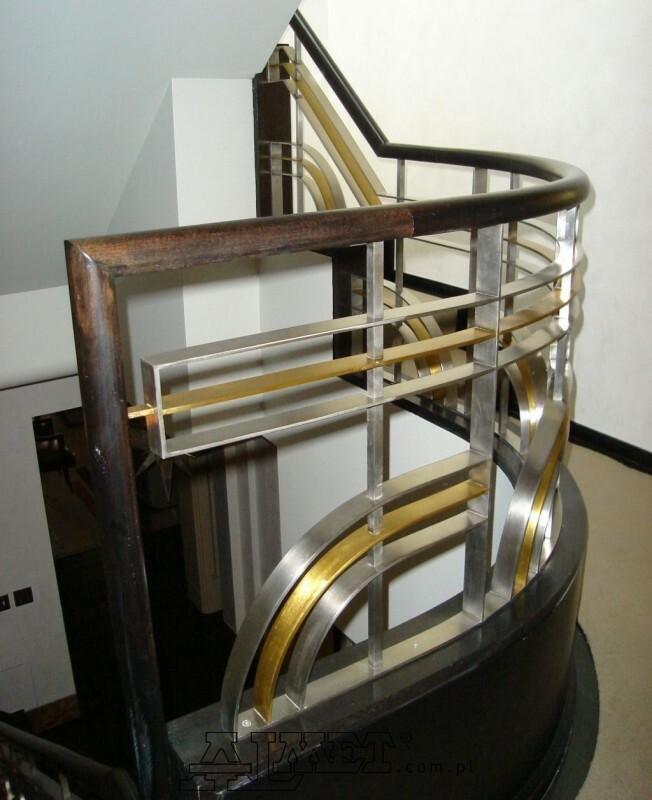 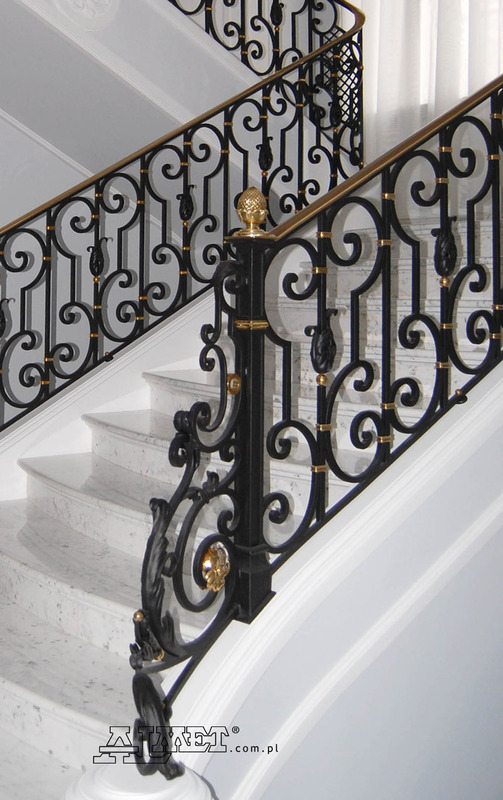 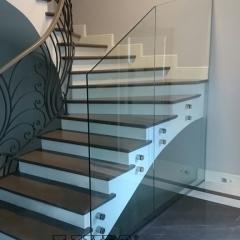 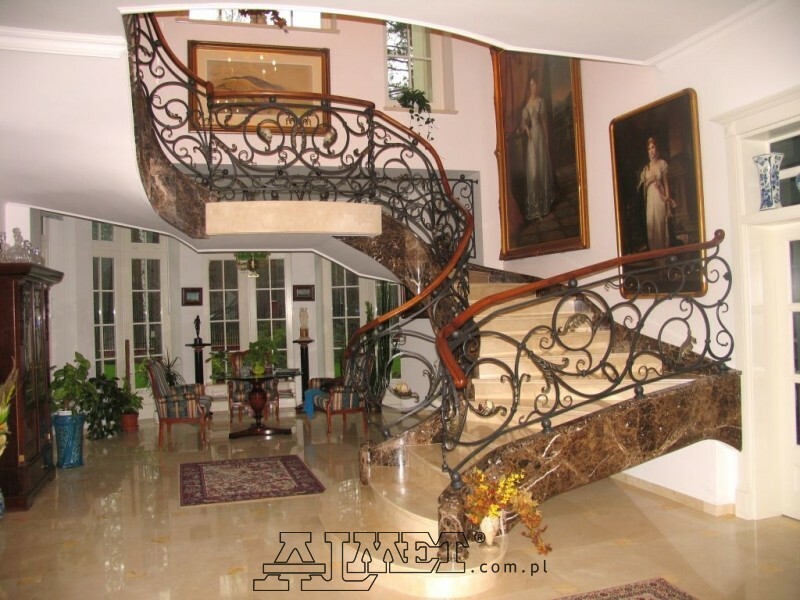 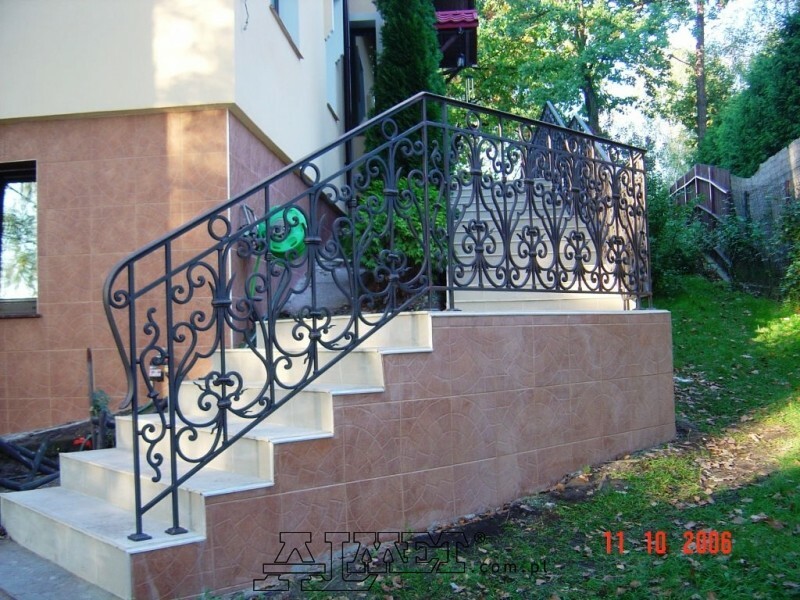 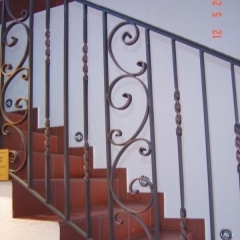 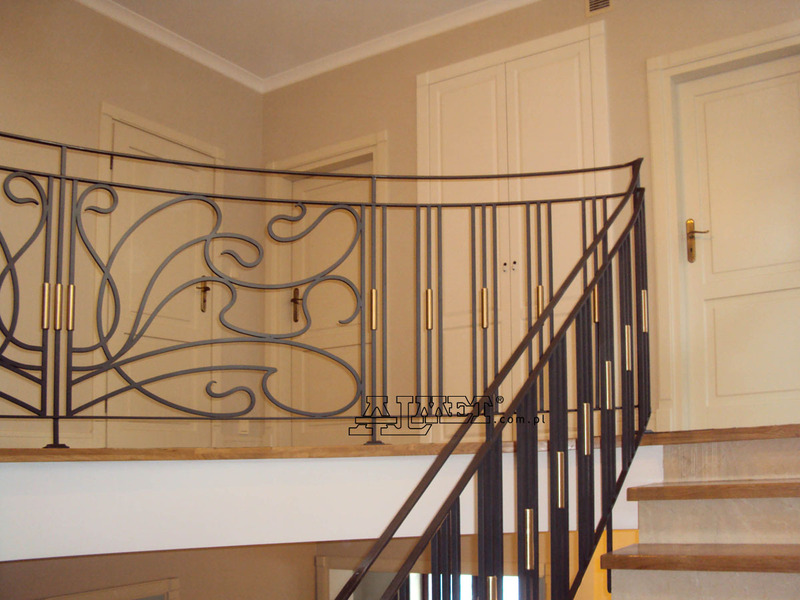 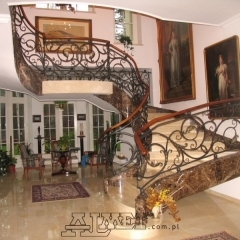 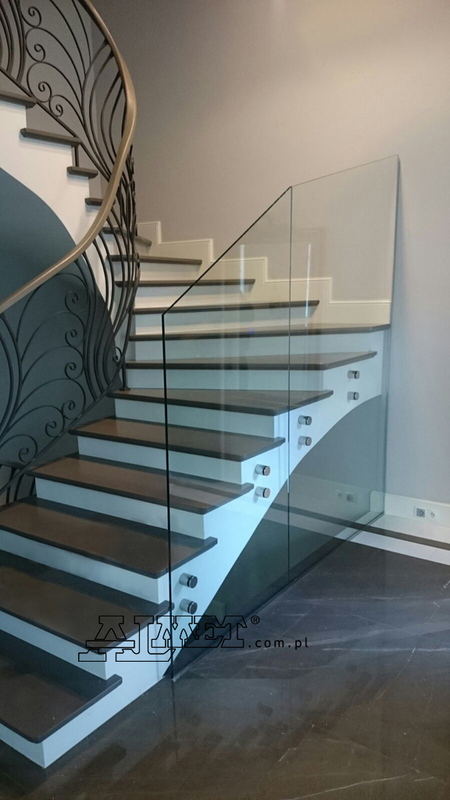 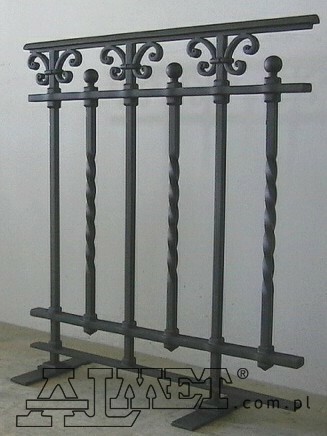 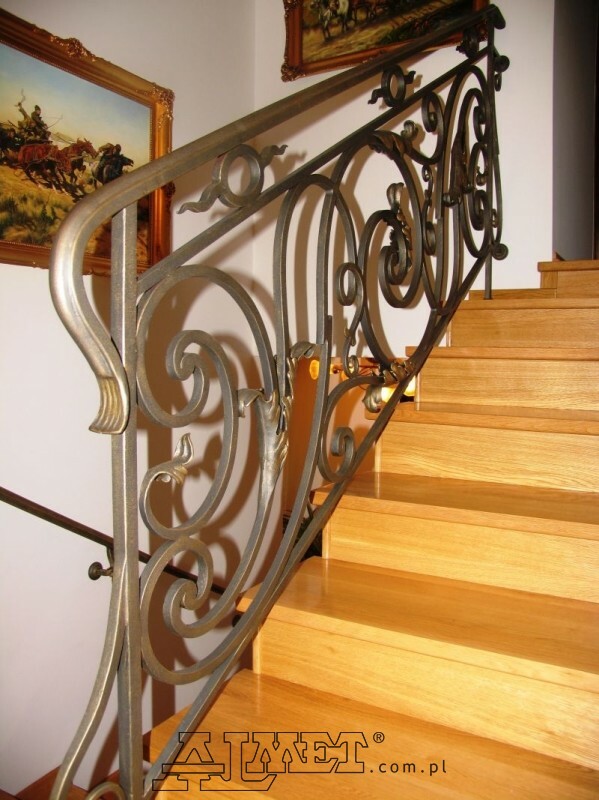 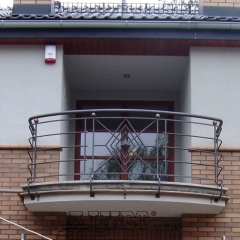 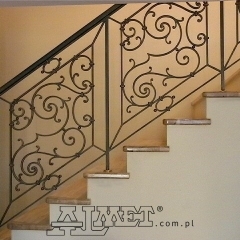 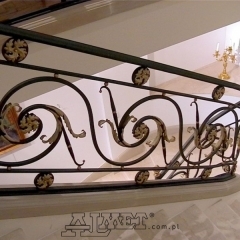 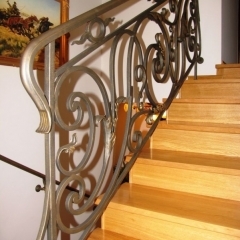 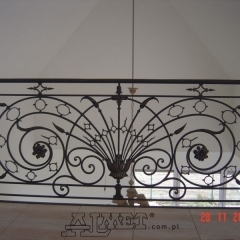 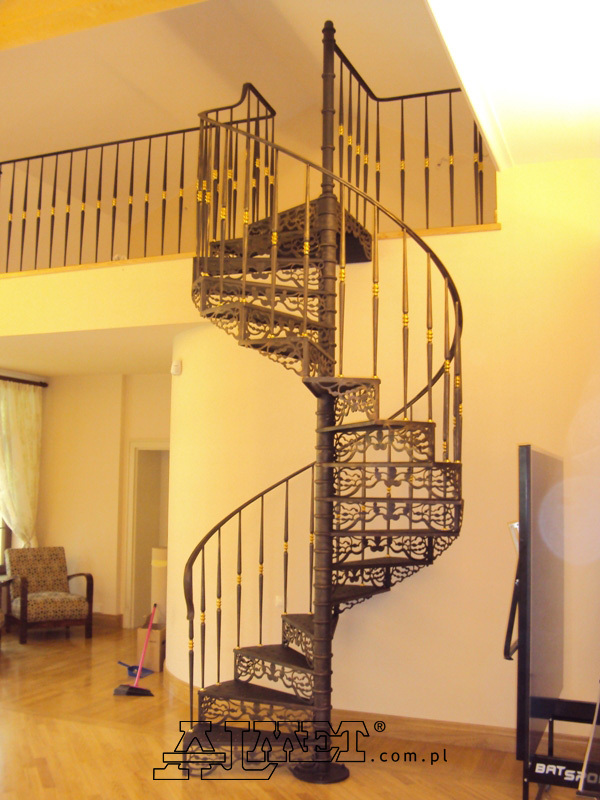 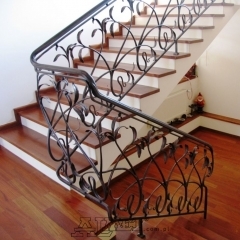 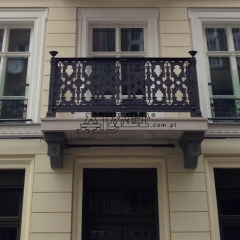 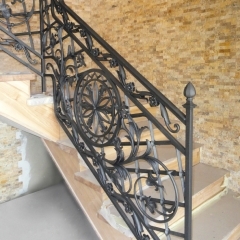 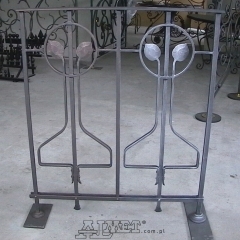 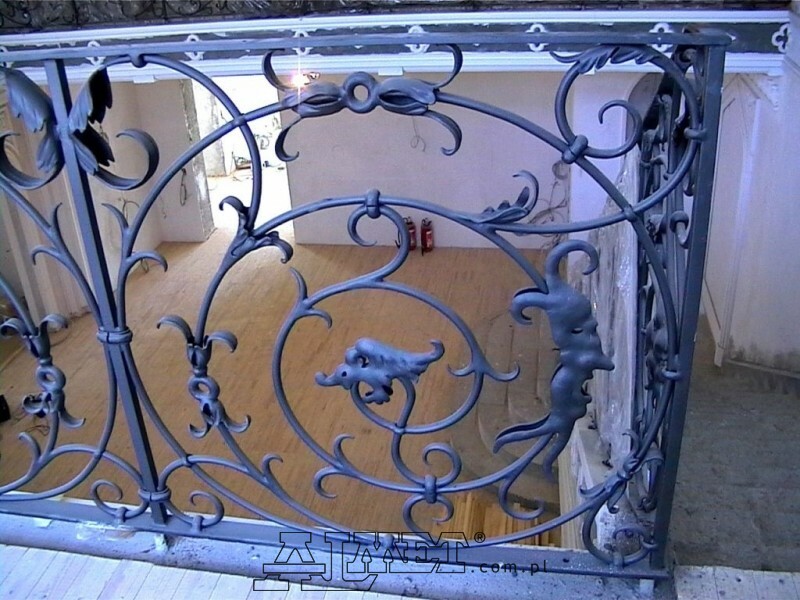 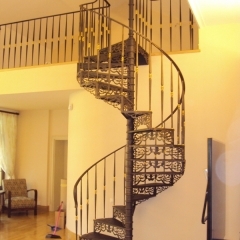 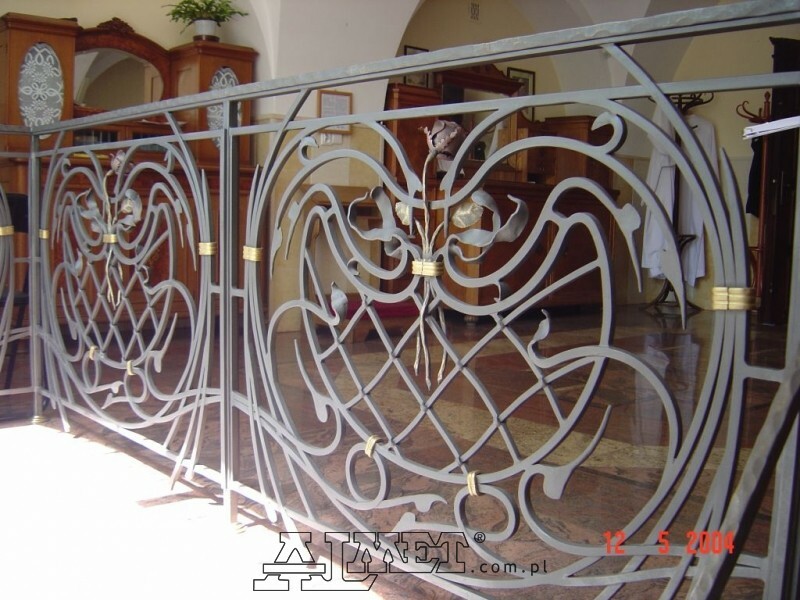 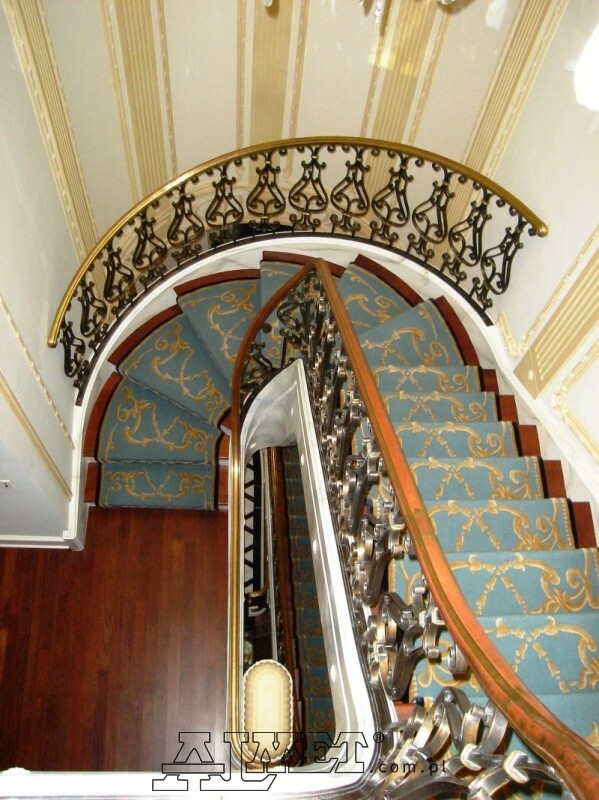 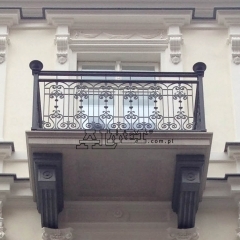 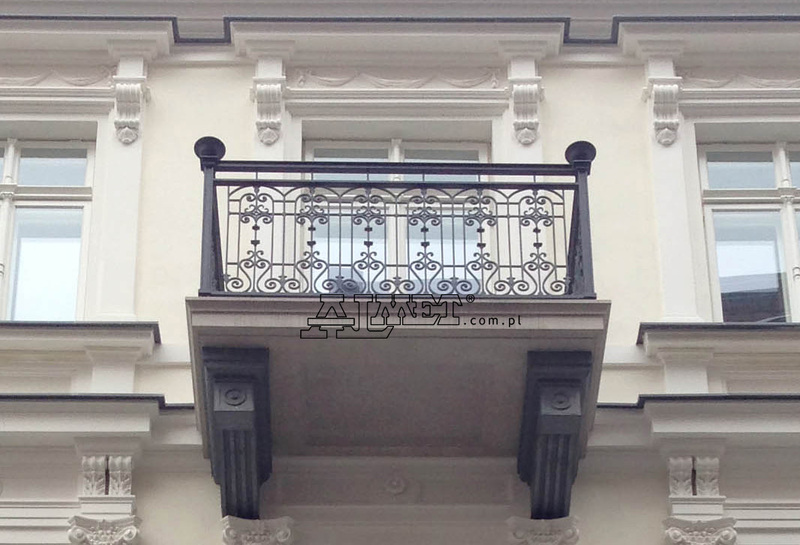 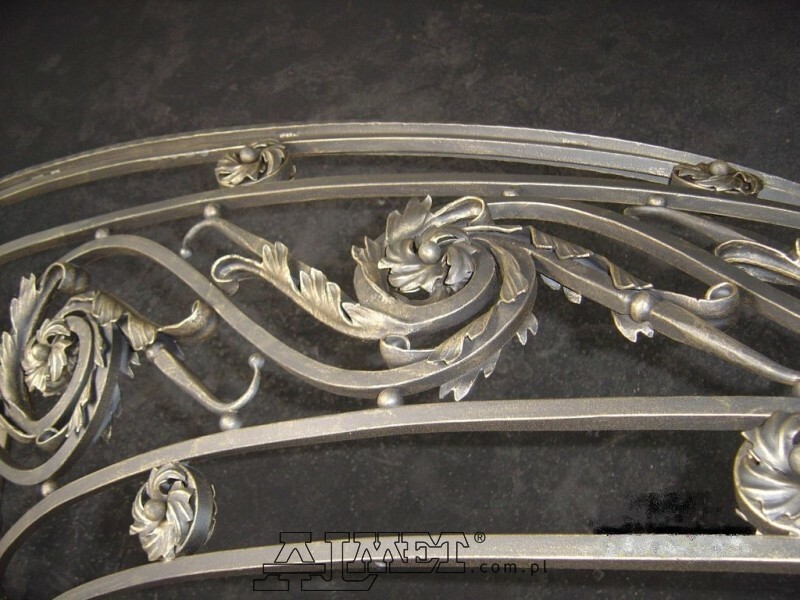 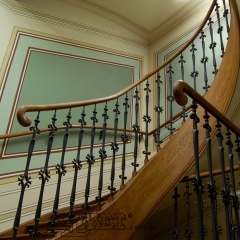 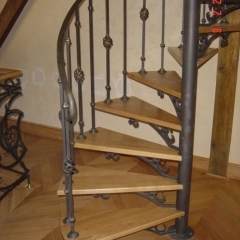 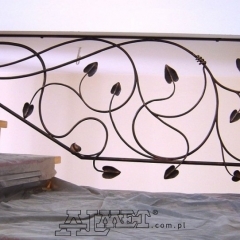 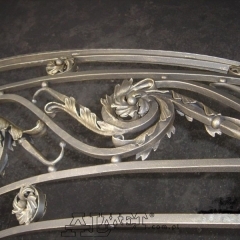 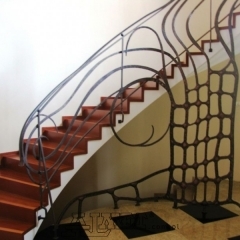 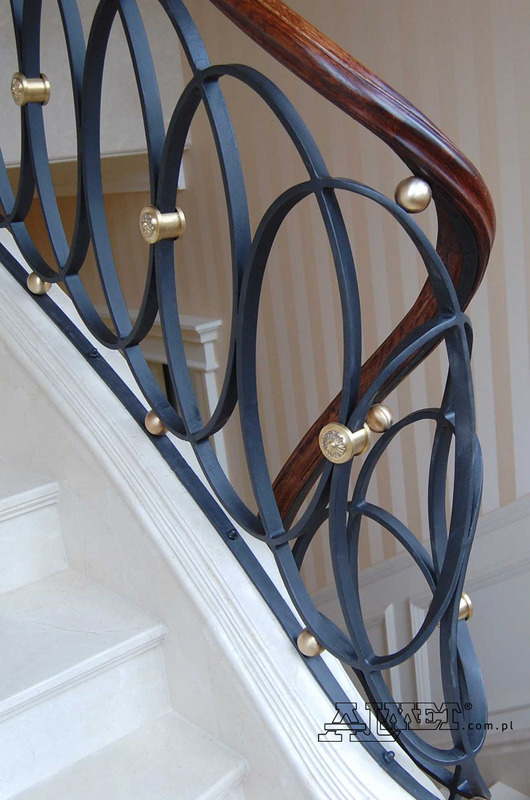 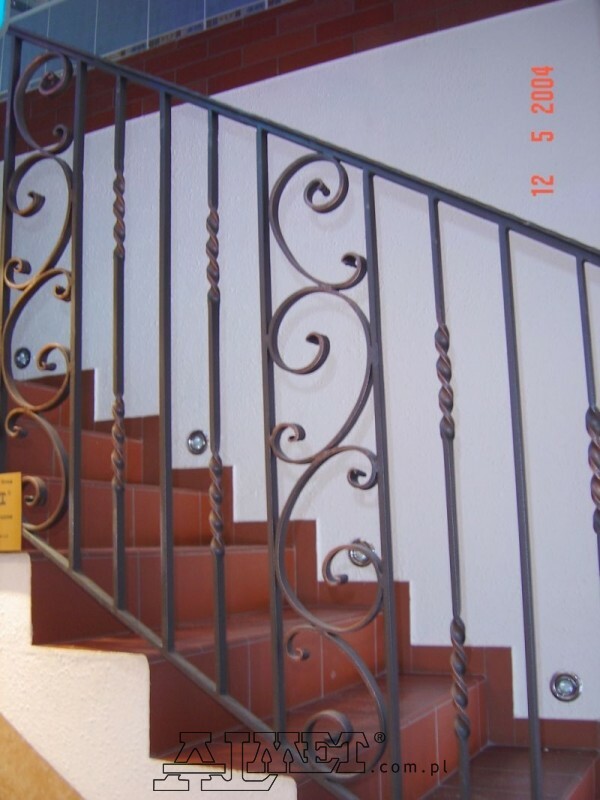 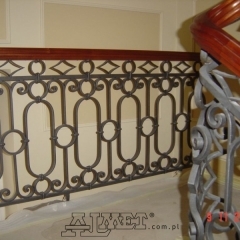 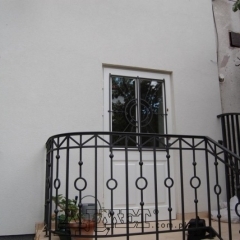 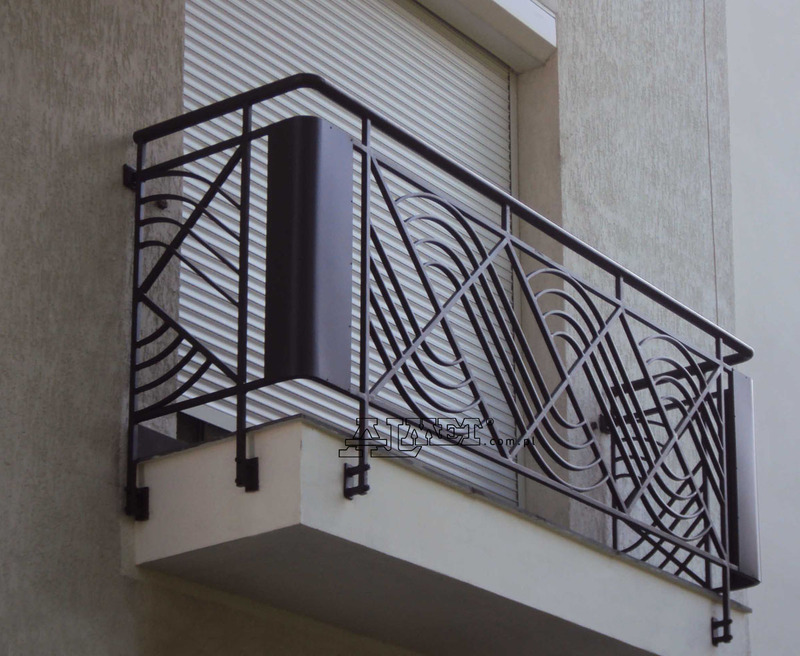 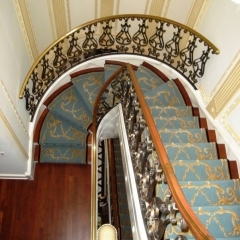 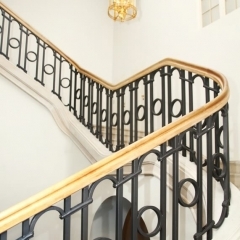 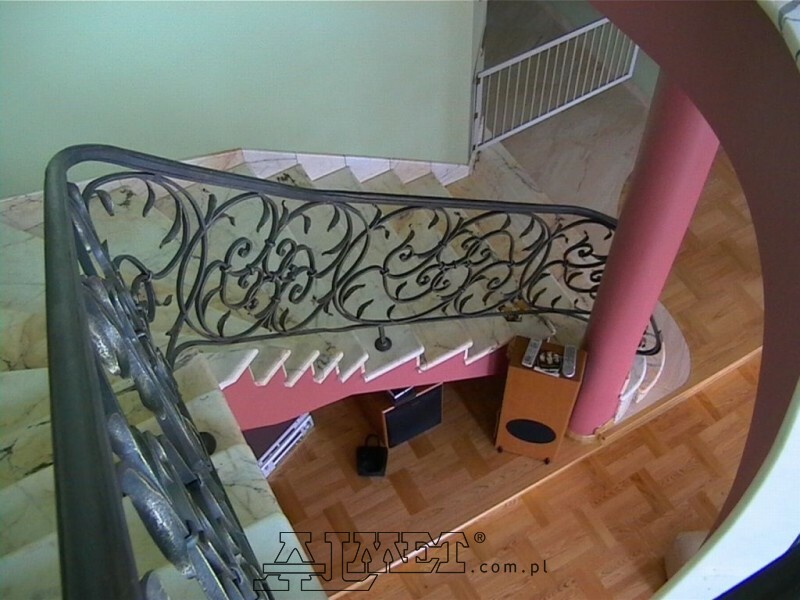 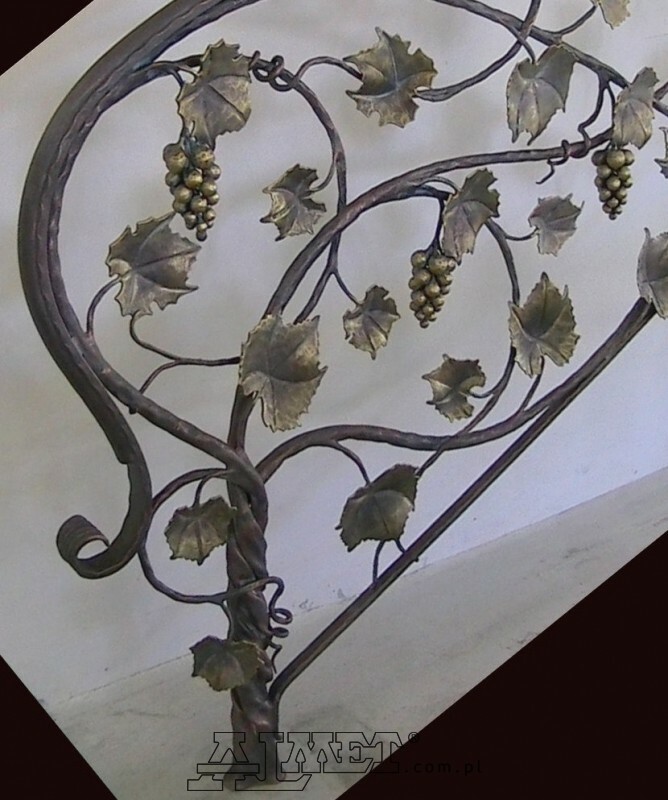 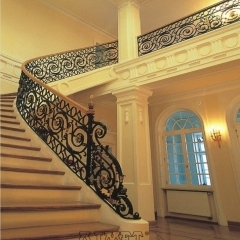 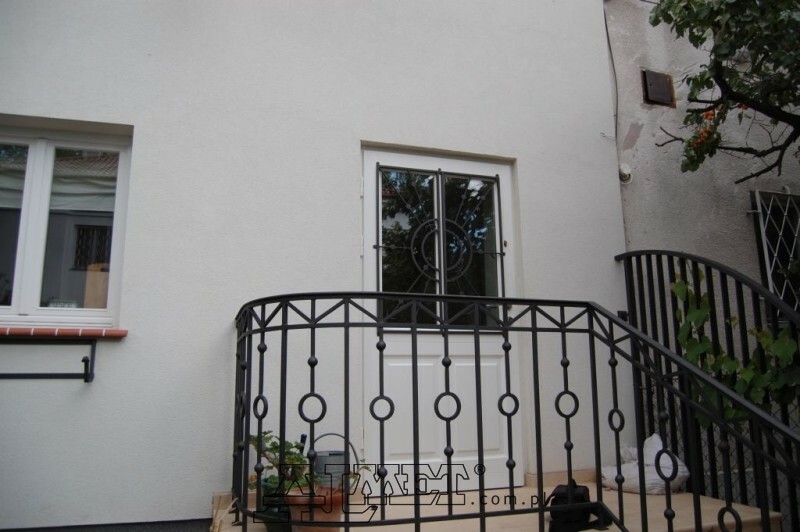 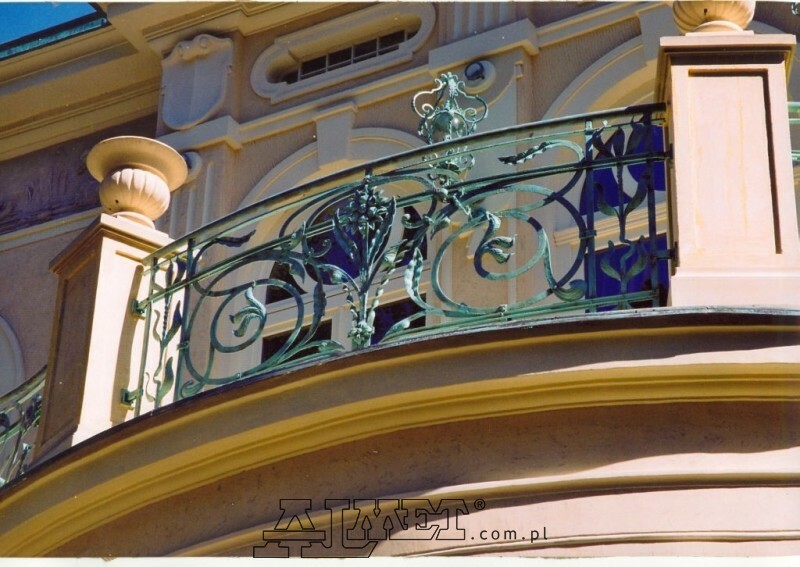 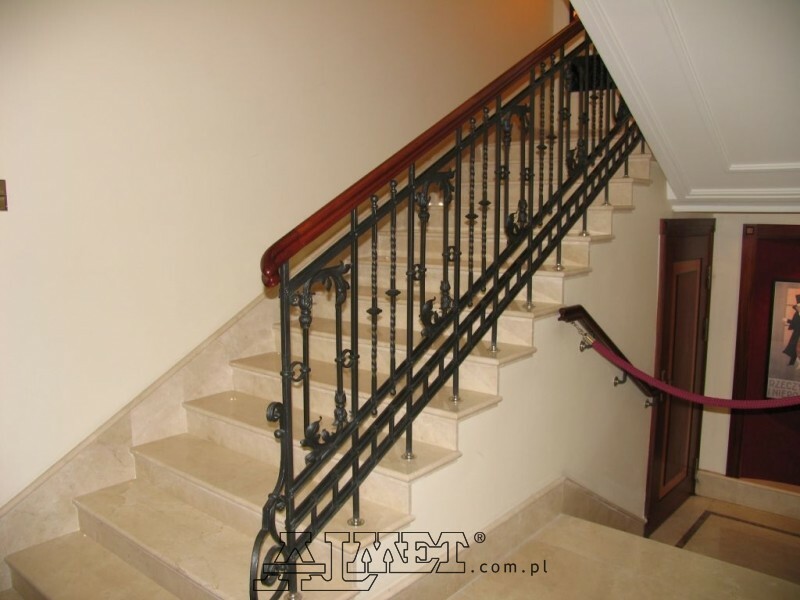 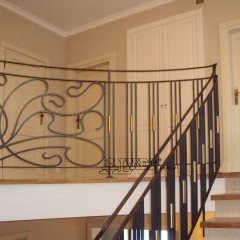 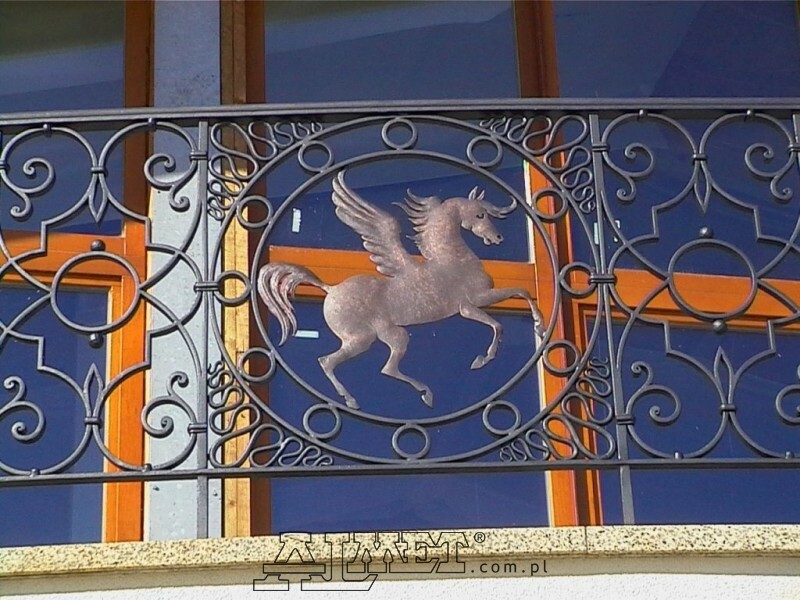 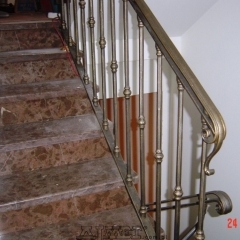 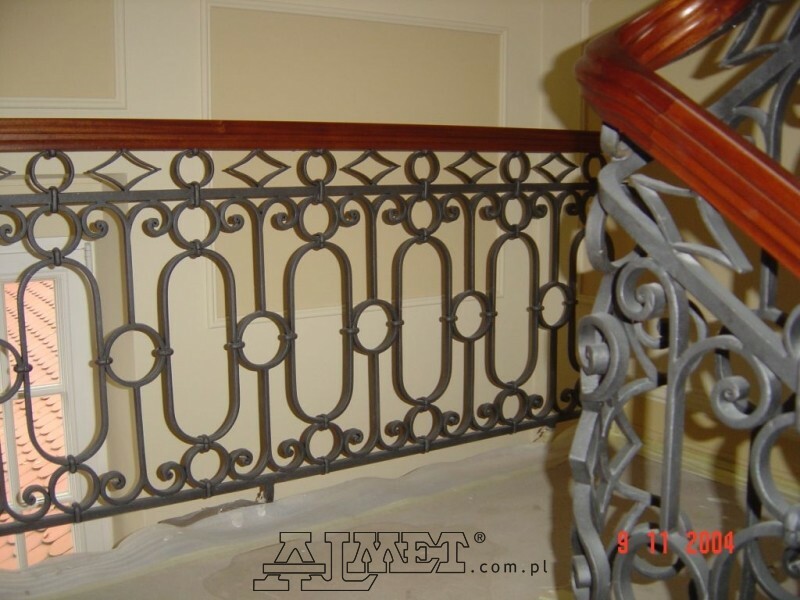 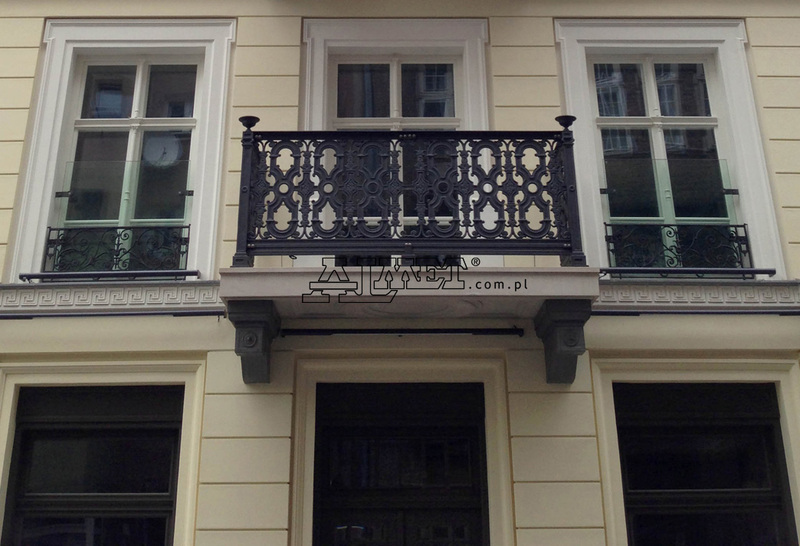 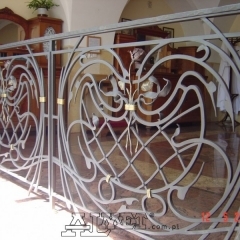 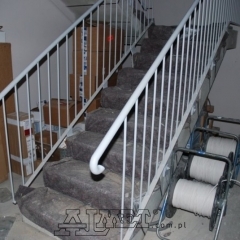 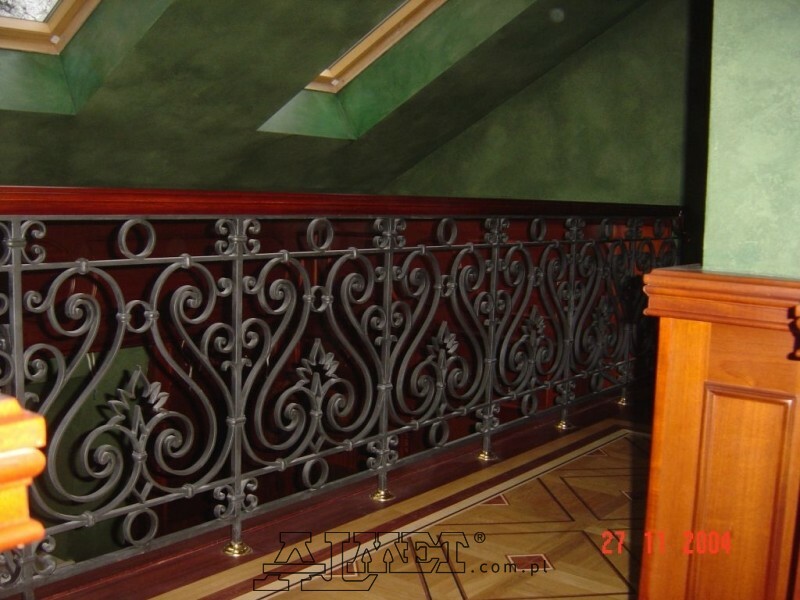 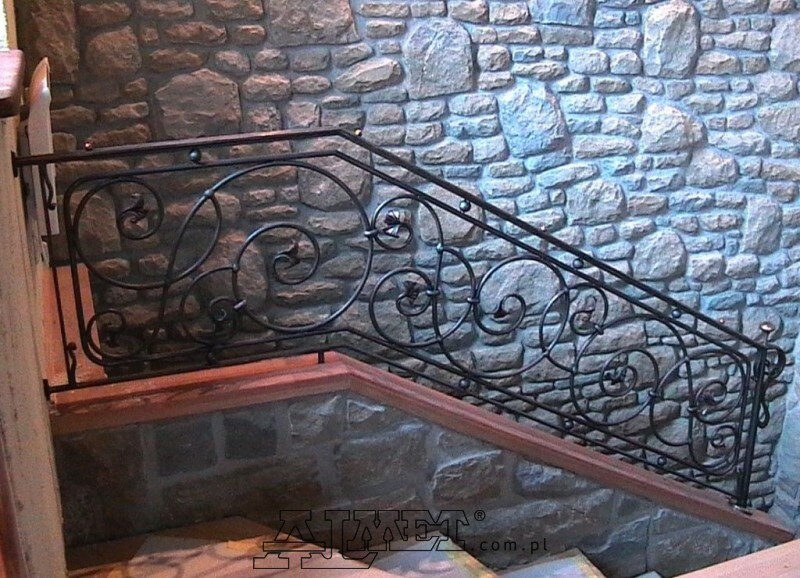 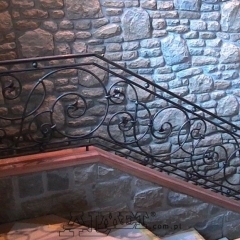 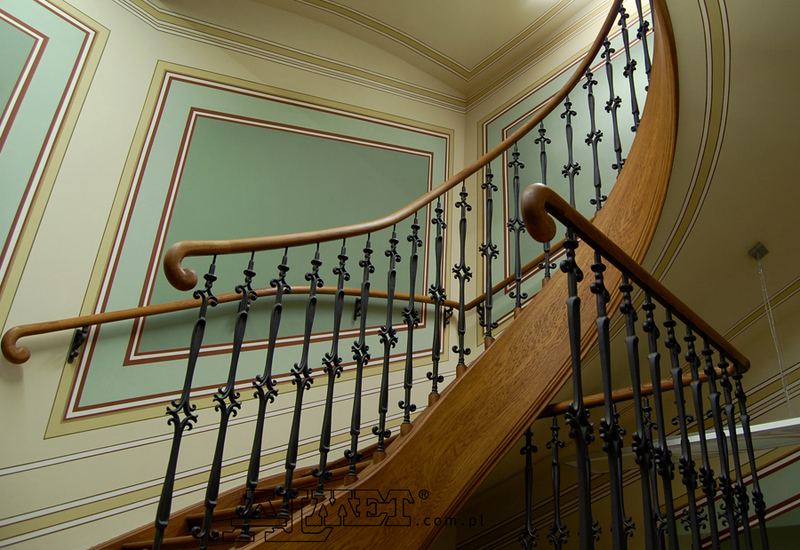 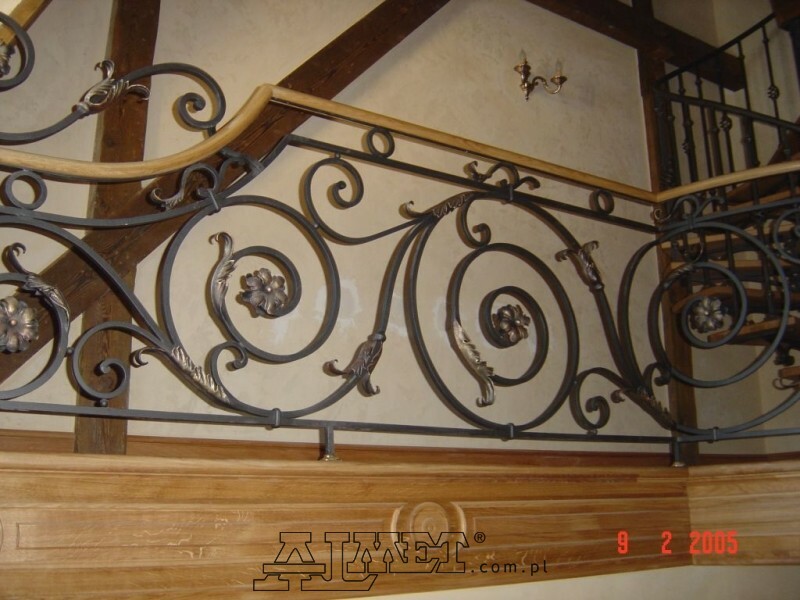 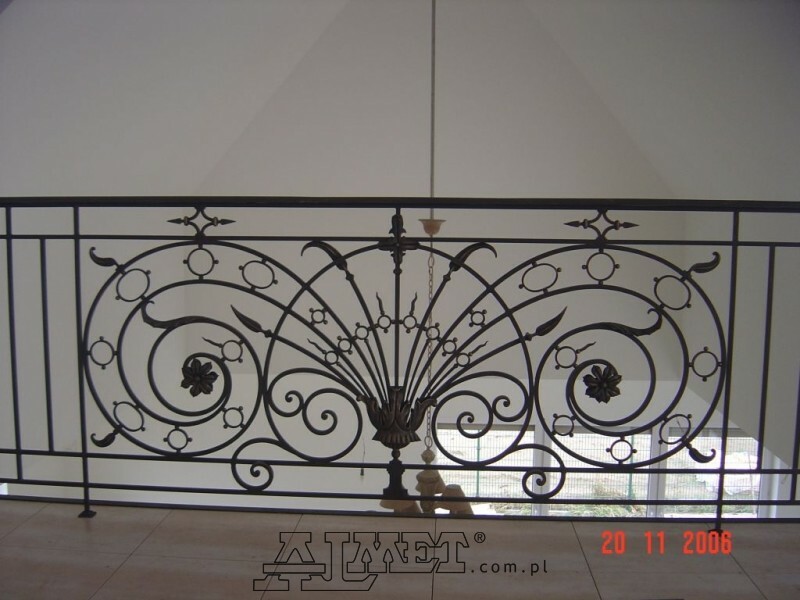 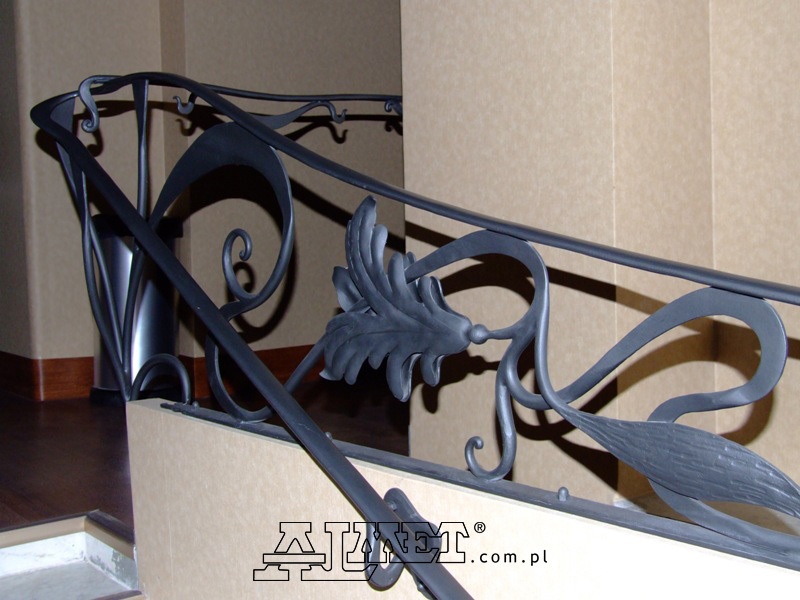 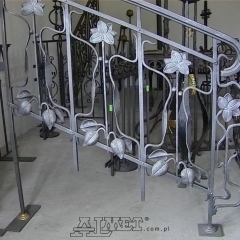 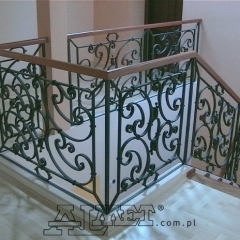 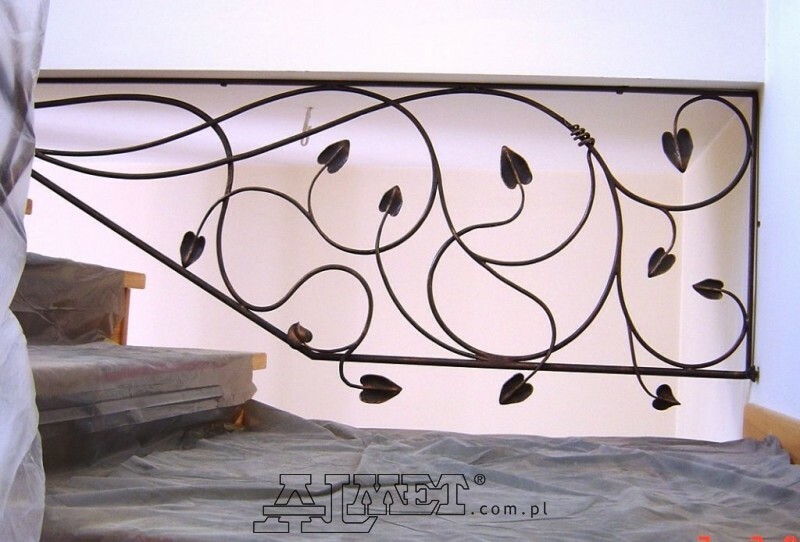 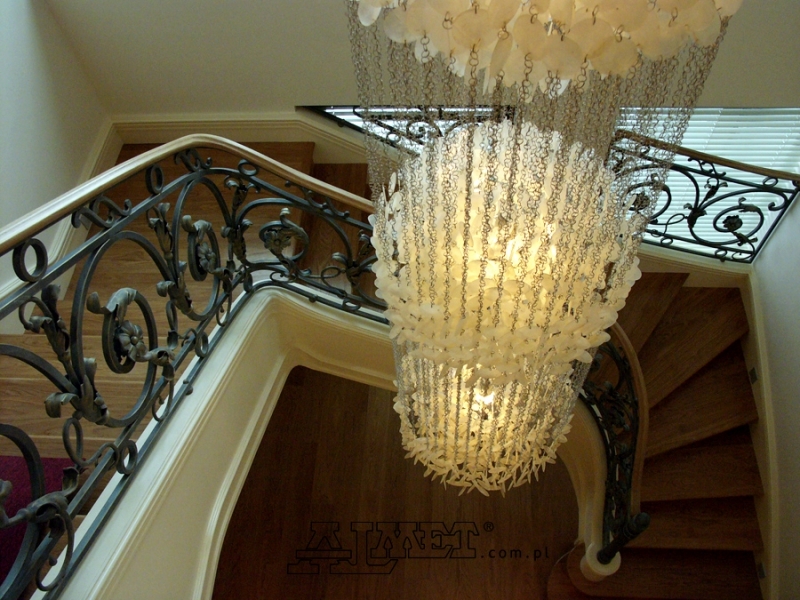 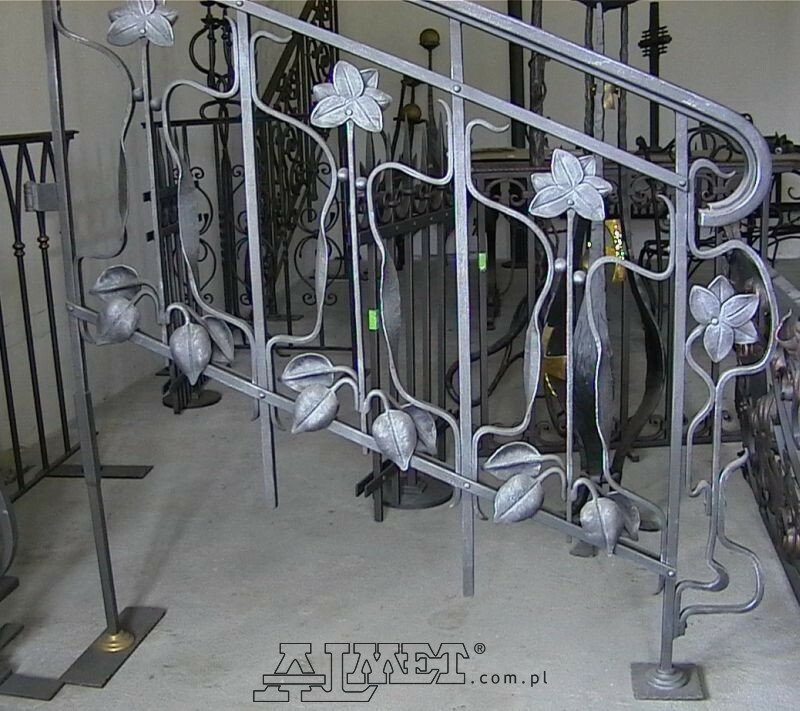 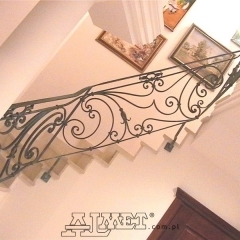 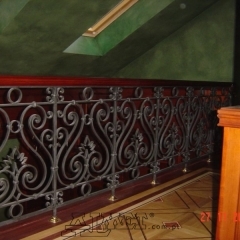 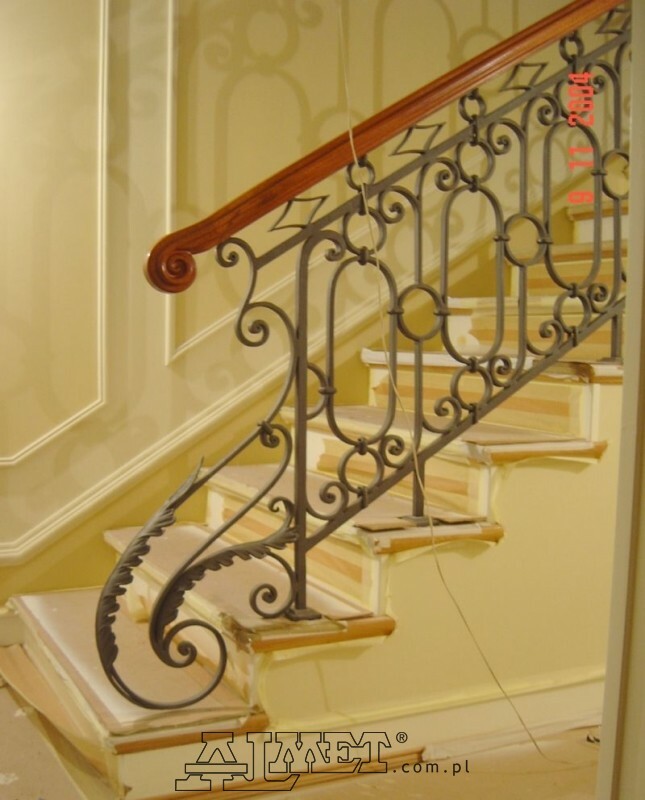 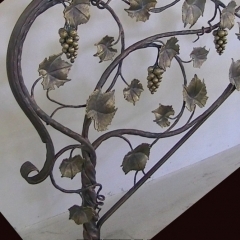 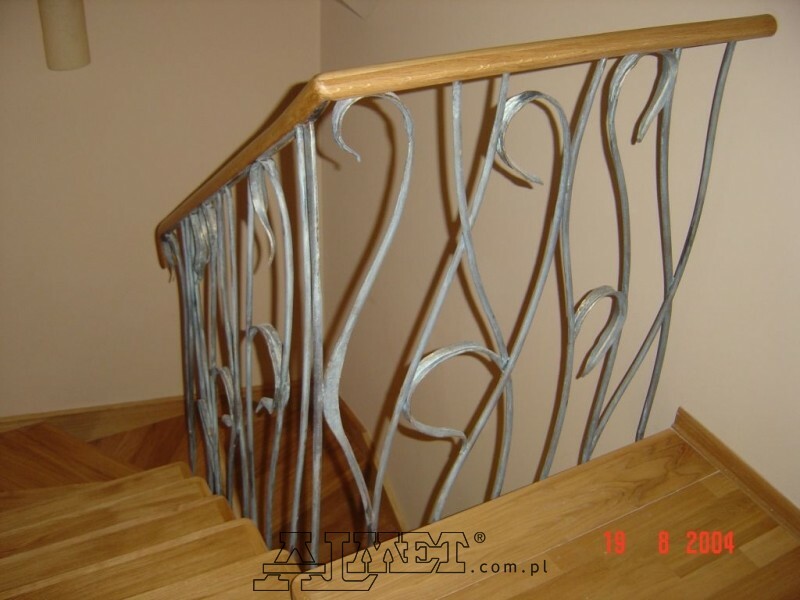 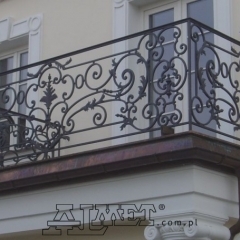 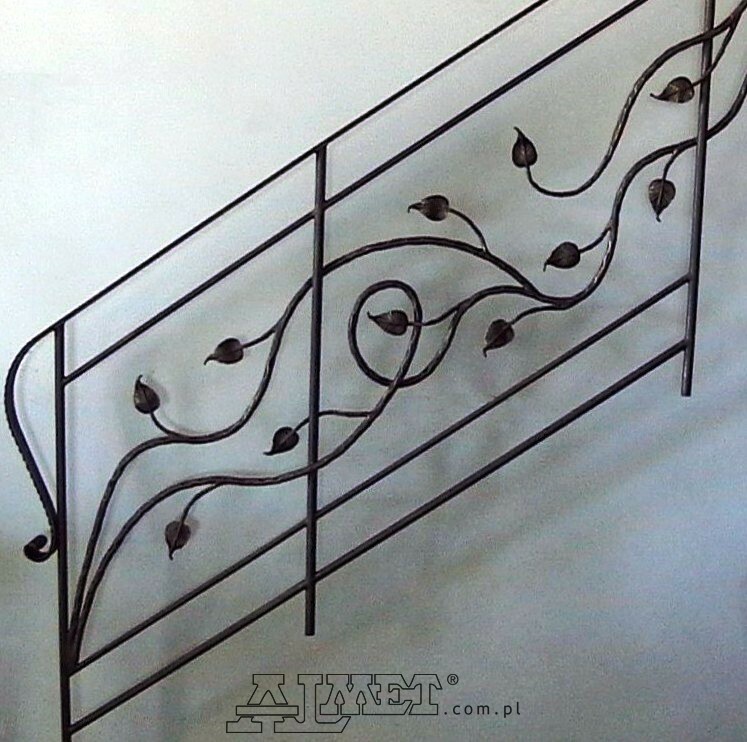 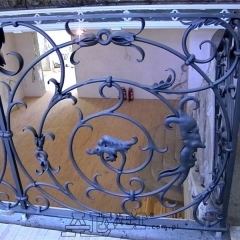 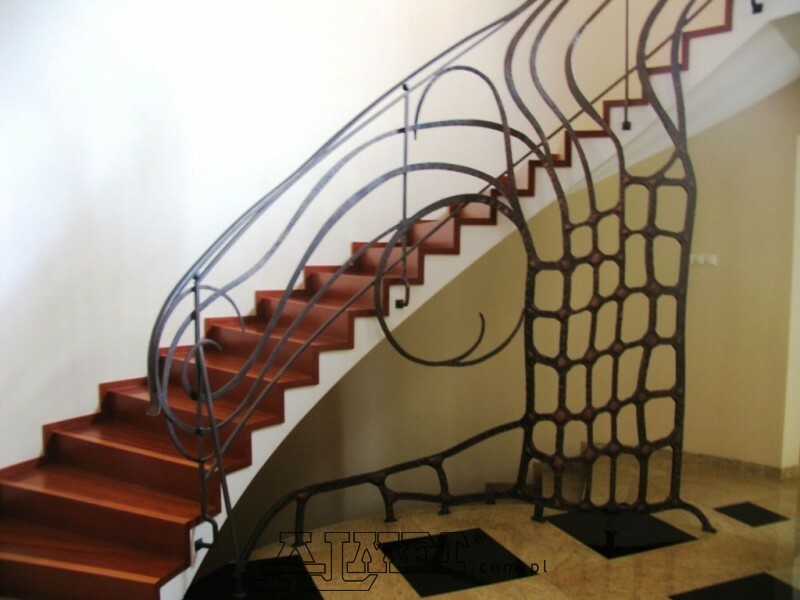 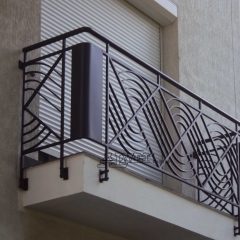 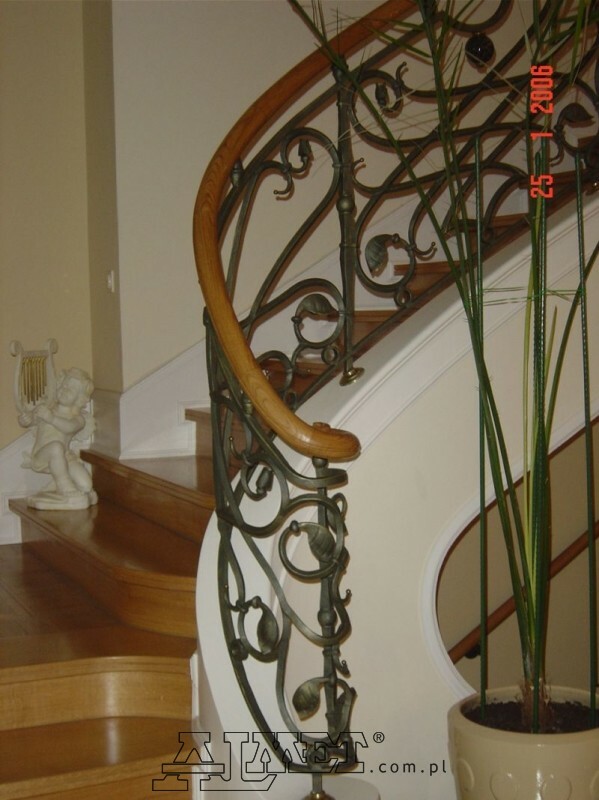 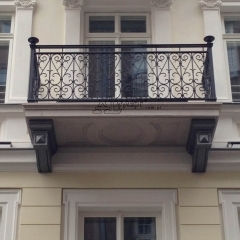 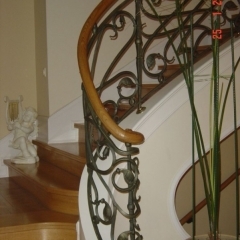 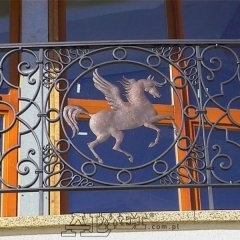 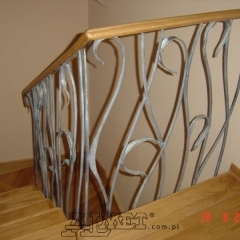 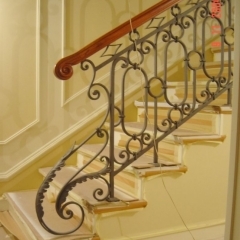 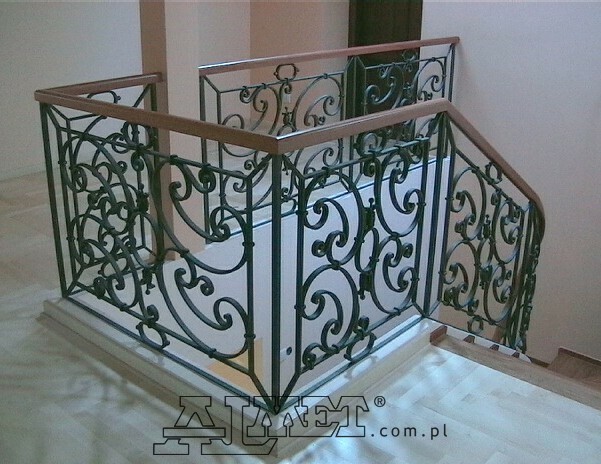 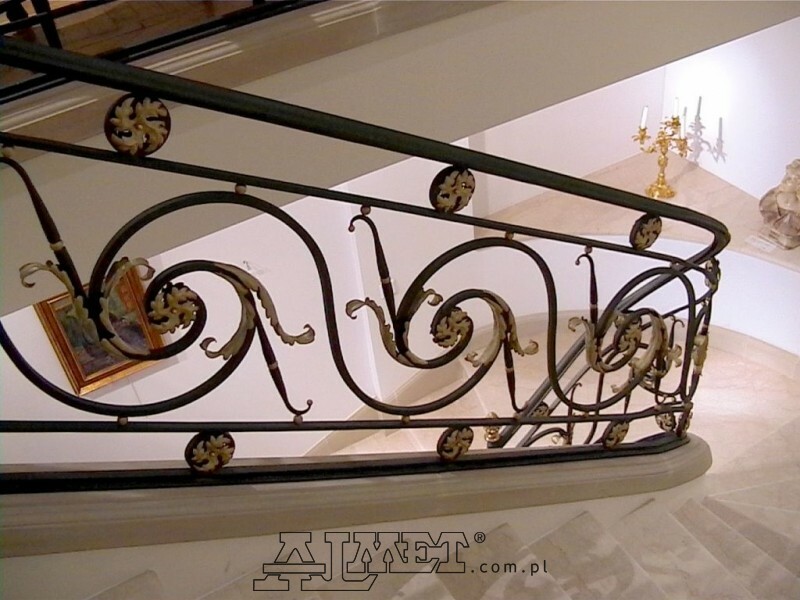 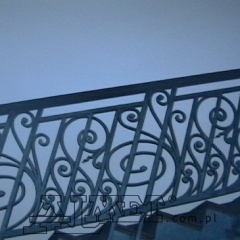 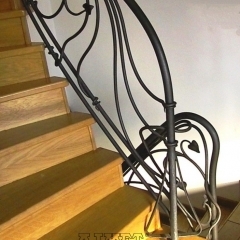 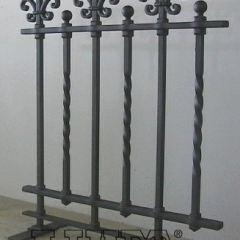 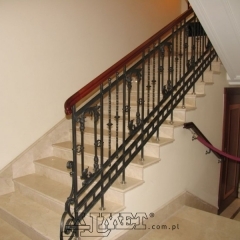 We take care to keep wrought iron balustrades and all decorative elements in line with the nature of the interior. 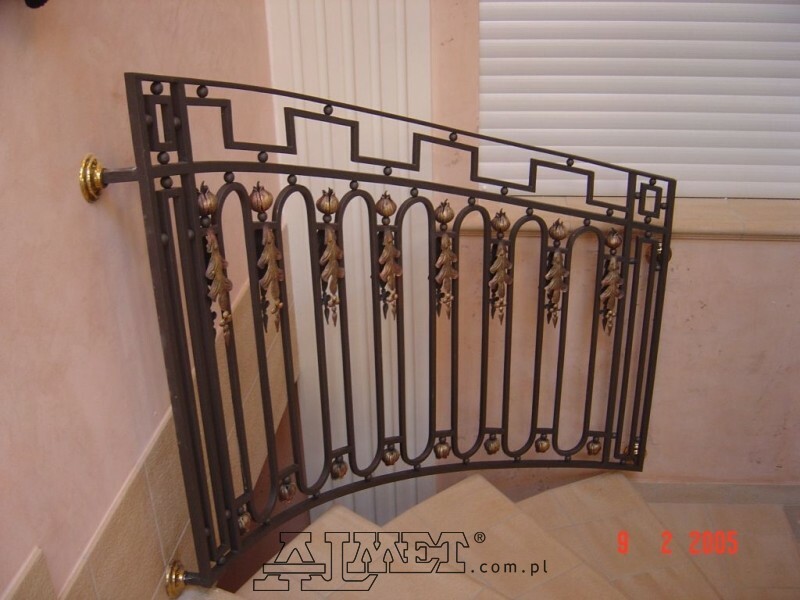 All are robust and made of the highest quality materials. 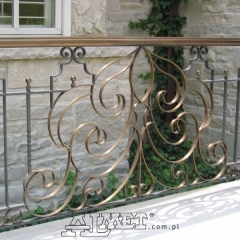 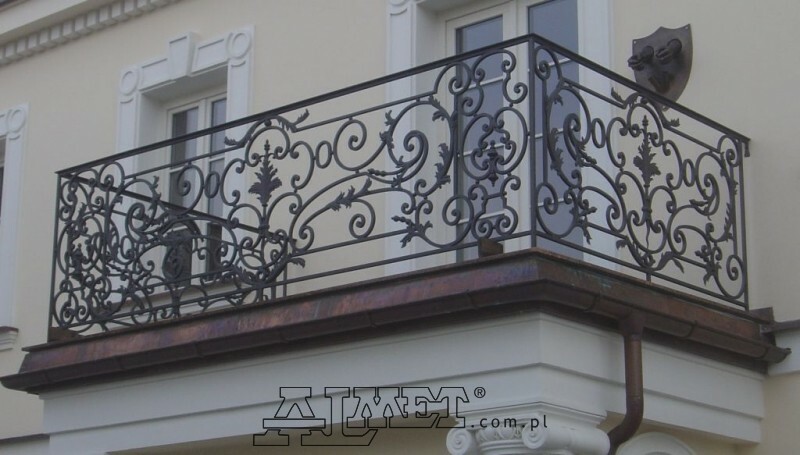 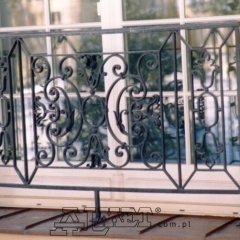 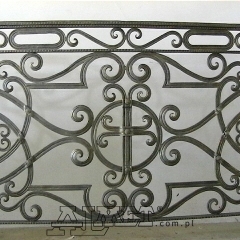 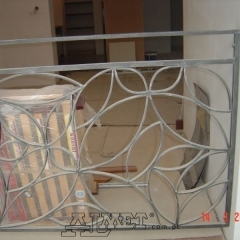 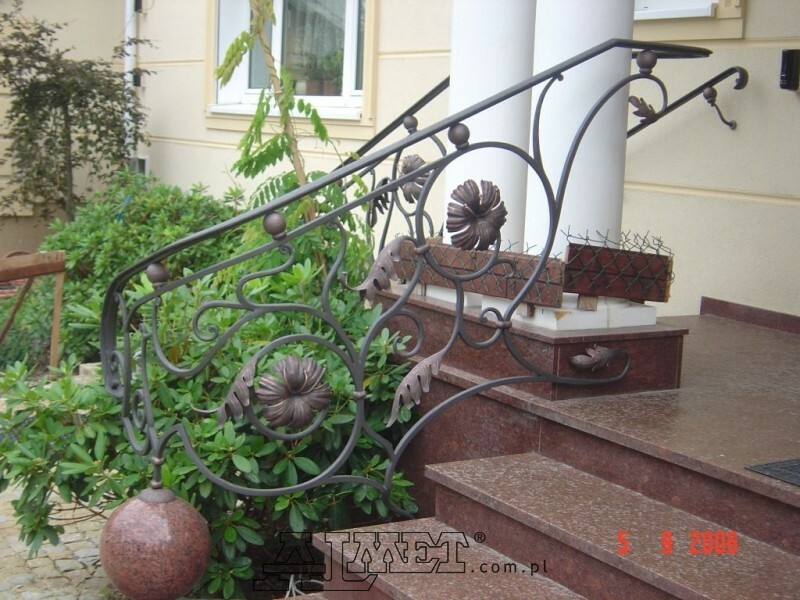 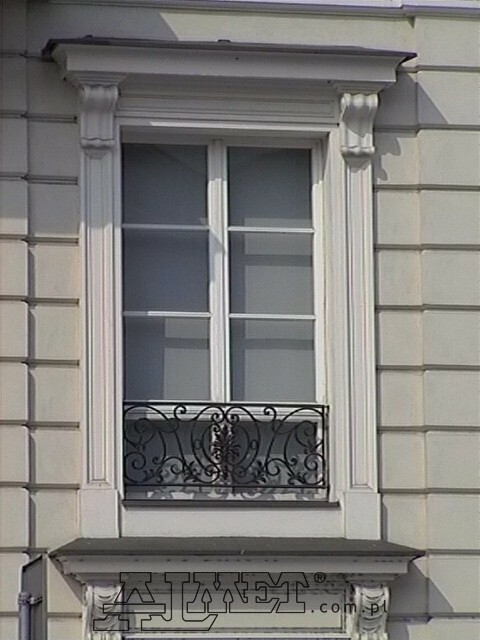 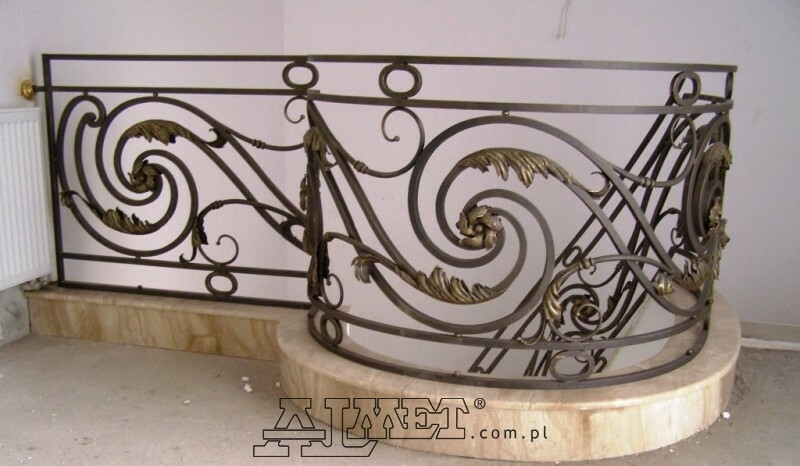 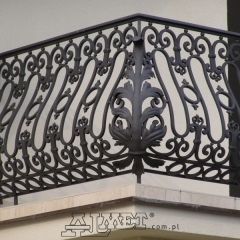 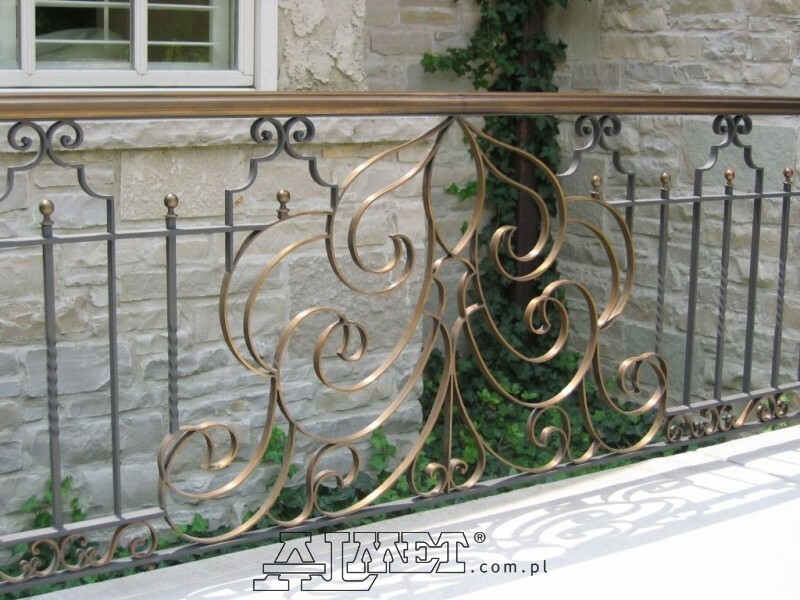 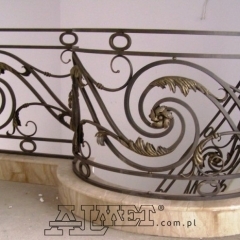 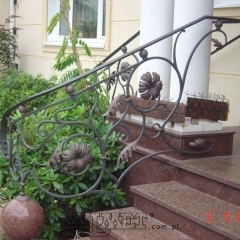 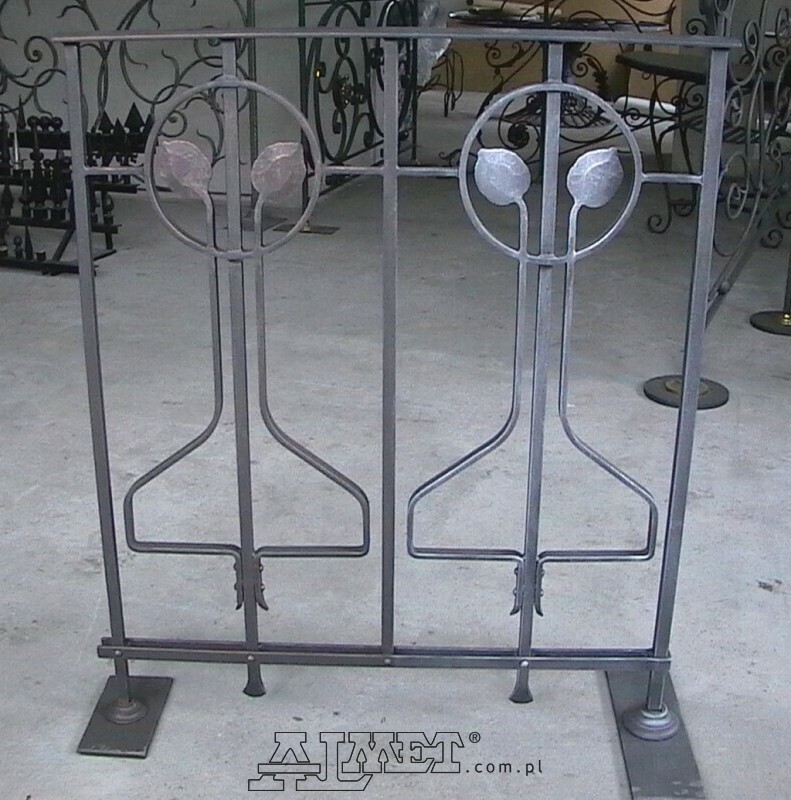 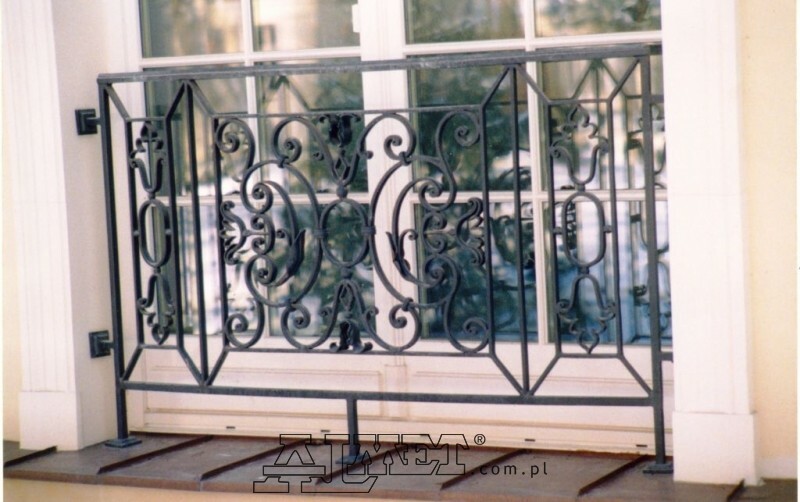 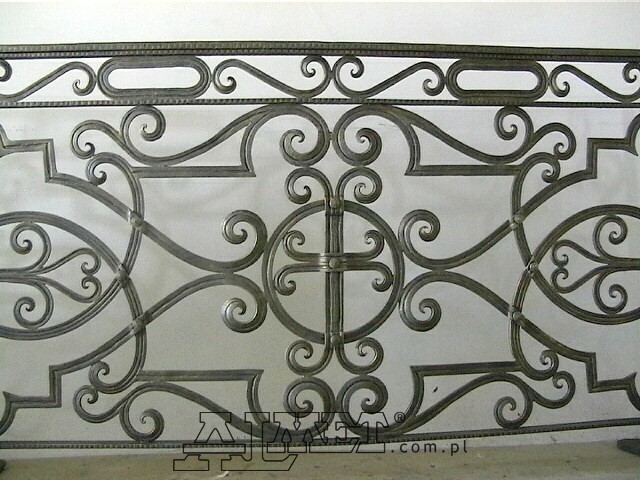 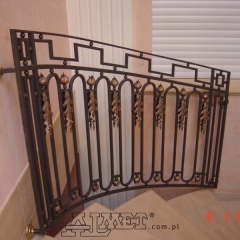 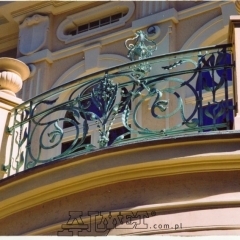 Wrought iron railings can be additionally decorated with a patina on brass elements or galvanic gold, silver or nickel plating, etc. 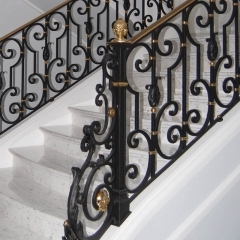 Our employee’s extensive professional knowledge allows us to provide a comprehensive service. 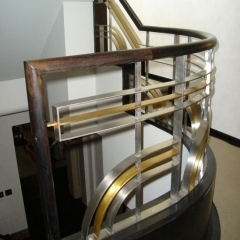 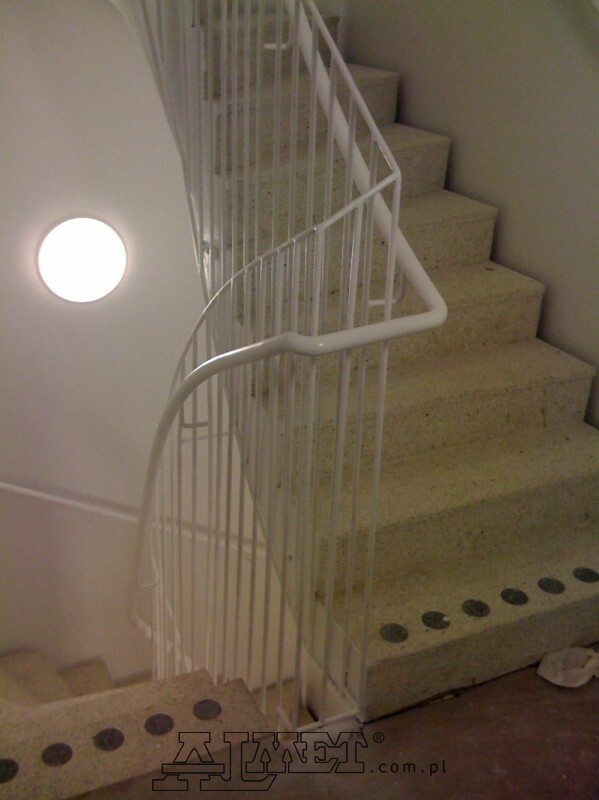 This means that we measure, design and install handrails anywhere in United Kingdom, Europe and even in the USA.